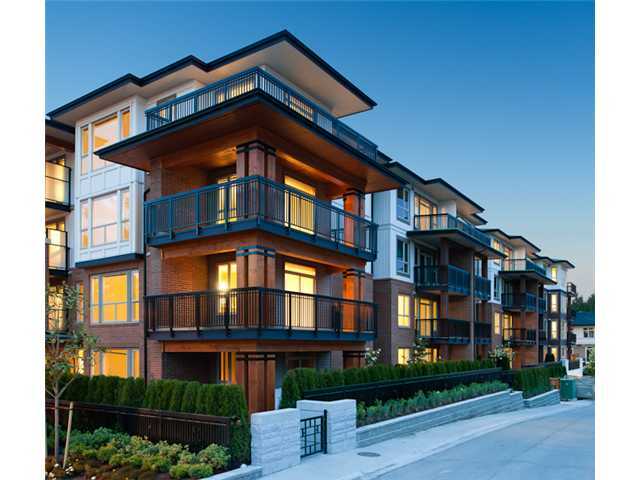 On this page you'll find the properties that are currently available for rent in the Tri-Cities - Coquitlam, Port Coquitlam and Port Moody, including Anmore and Belcarra. 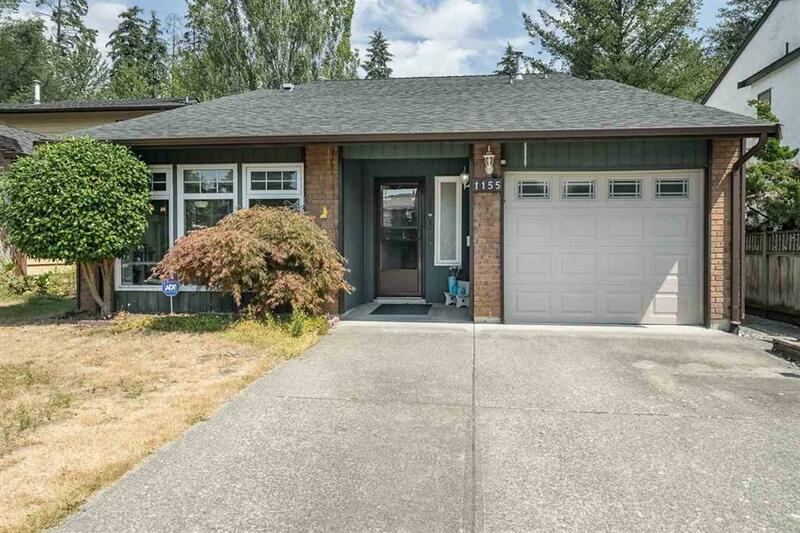 While we make every effort to keep this page updated tenants are welcome to call Wayne at 604-945-2414 to see what's new. We do not work or cooperate with any person or company that charges potential tenants a fee, please call directly to view any of these great homes. $1500 per month. Available immediately. 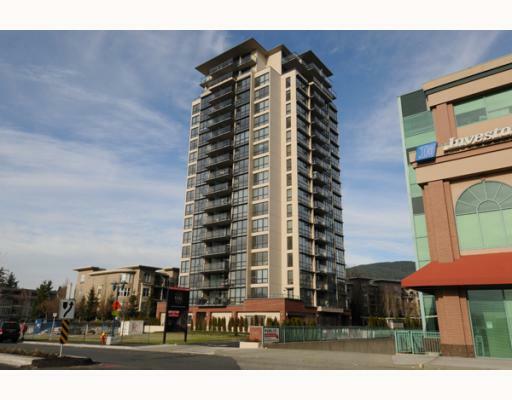 Corner one bedroom suite in popular "Centura"
located in the heart of North Coquitlam. Well designed 618 sf maximizes space and is brightened by oversize windows. Flexible living room/dining room combination with fireplace. Good sized bedroom with lots of storage. Great location just steps to the Evergreen Line, Coquitlam Centre, grocery stores, shops and restaurants, Douglas College, Lafarge Lake and much more. One underground parking, one storage locker. No smoking or vaping insuite or on the grounds. No pets. $2200 per month. Available May 1. Quiet corner suite in popular "Larkin House", a master planned community. Spacious 992 square feet of open floor plan. Two bedrooms and a den. Well designed kitchen with lots of cabinets and counter space, stainless steel appliance package. Bedrooms located on opposite sides of the suite for maximum privacy. Master suite with dream sized ensuite and walk-in closet. Flexible living and dining area. Open den area. Rent includes access to the Nakoma Club resort style clubhouse with outdoor pool, professionally equipped exercise centre, ball court, club house and more. 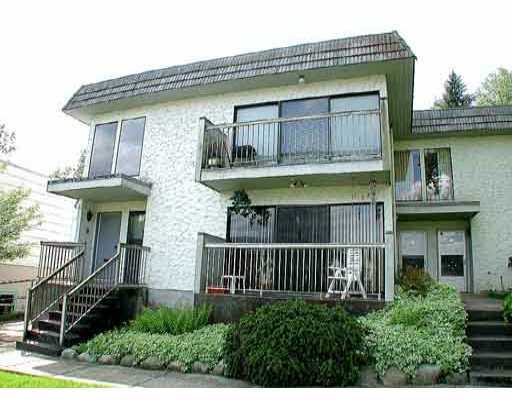 All this steps to Lafarge Lake, Douglas College, Coquitlam Centre, skytrain and so much more. Gas and hot water included in the rent. No pets, no smoking or vaping in the suite or on the grounds. $2200 per month. Available June 1. Quiet corner 2 bedroom and den suite in sought after "Cora" by Intergulf. Floor to ceiling windows showcase mountain and garden views and fill the 926 square foot suite with natural light. Living and dining rooms with sweeping views. Master bedroom with ensuite and "his and hers" closets, second bedroom located on the opposite side of the suite for maximum privacy. Two side by side parking stalls, one extra large storage locker. Building amenities include a professionally equipped gym and party room. 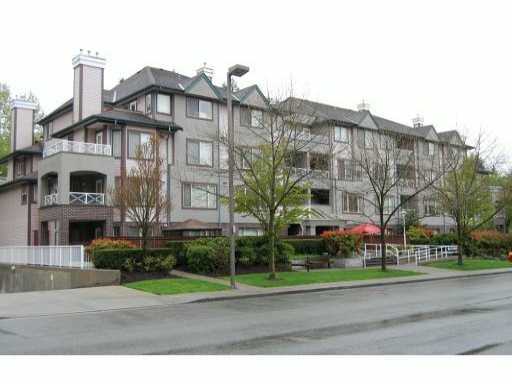 Easy access to Highway #1; near to shops, Evergreen skytrain line, Lougheed Mall, restaurants, entertainment. Gas and hot water included in rent. Sought after "Tantalus" in beautiful Silver Springs surrounded by nature trails and convenient to all. Spacious 2 bedroom, 2 bath top floor suite facing the quiet greenbelt and creek. Bright and sunny kitchen with lots of shaker cabinets and counter space; full stainless steel appliance package included and breakfast bar. Living room with warm fireplace and doors a covered deck. Master bedroom with ensuite and walk-in closet. Insuite laundry, one reserved parking stall, one storage locker. Includes use of resort style amenities including outdoor pool, hot tub, professional equipped fitness centre, billiards room and more. Walk to all levels of schools including Skytrain, Douglas College, quick bus ride to West Coast Express and Coquitlam Centre, parks, pool, cultural centre. No smoking or vaping in the suite or on the grounds, no pets, references. Ground floor one bedroom and den, one bath suite in sought after Tamarisk. 750 square foot open floor plan with a garden patio. Kitchen with lots of counter space and cabinets. Flexible living/dining area with gas fireplace. Building amenities include outdoor pool and hot tub, professionally equipped exercise centre, billiard room and more. Excellent neighbourhood! Walk to Skytrain, City Centre Aquatic Centre, public library, Coquitlam Centre and more. Sought after Heritage Woods 2700 sf beauty. Four bedrooms and den, gorgeous master suite with vaulted ceilings, fireplace, walk-in closet and elegant full ensuite. Open design, great room plan features a gourmet kitchen with full appliance package including gas stove, granite island and countertops and lots of cabinets; large dining area and living area with floor to ceiling stone fireplace and access to the fully fenced private backyard. Finished in neutral designer colours, high end Roman shades and security system. Double garage, parking in driveway. Fully finished basement with large rec room and summer kitchen. Near to well regarded schools and scenic parks, a short drive to all amenities. Three bedrooms up, one down. 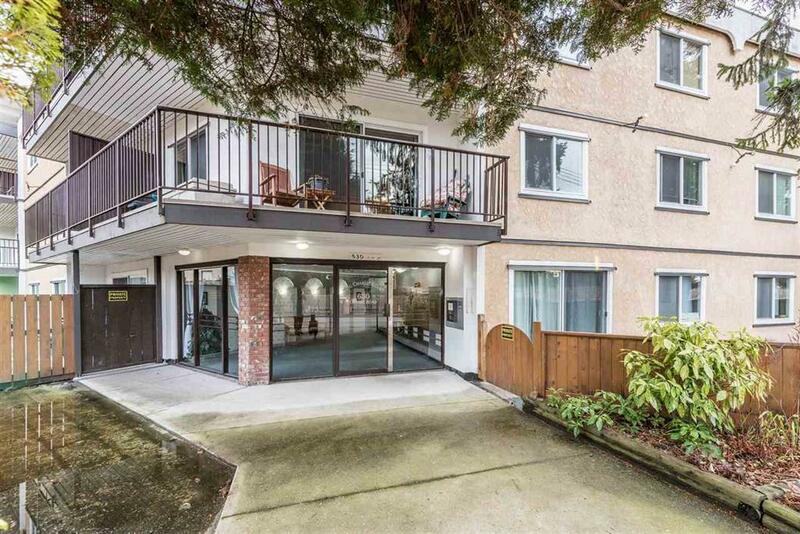 Excellent location; walk to Burquitlam Skytrain Station, Safeway, shops, restaurants. No smoking, no vaping. Pets considered with pet deposit. Beautifully maintained and renovated three bedroom, 2 level family home in popular, family oriented New Horizons. Bright and spacious living and dining areas warmed by a gas fireplace. Well designed white kitchen with lots of cabinets and counter space overlooks the family room and back yard. a greenbelt with trails to the Coquitlam River. Single garage with additional parking in the driveway. Skytrain station and much more. Approximately 1300 sf, two bedroom and den, two baths suite in popular "Brookmere Towers". Bright sunny kitchen with lots of cabinets and counter space. South facing, beautiful view of the City. Insuite laundry, lots of storage. Steps to Lougheed Mall, Skytrain, restaurants, shops. No smoking or vaping in the suite or on the grounds, no pets. in the "Victoria" on prestigious Burke Mountain. Corner suite with oversize windows for lots of natural light and 10' ceilings on the main. Spacious and contemporary 1700sf. Brand new. Roomy kitchen with slim profile quartz countertops and Kohler enamelled cast iron sink and full stainless steel appliance package. Two and a half baths. Four bedrooms, master suite with spa-like ensuite. Plenty of storage throughout. Private backyard with large patio. Burke Mountain ... new schools, new parks, near to shopping and many walking trails. Cable included in rent for one year. Double garage. Visitor parking for guests. he sought after 4 year old "The Austin". Mount Baker and the Fraser River. Kitchen with stainless steel appliance package, white quartz countertops, double undermount sinks and breakfast bar. Open living and dining area with access to large balcony. 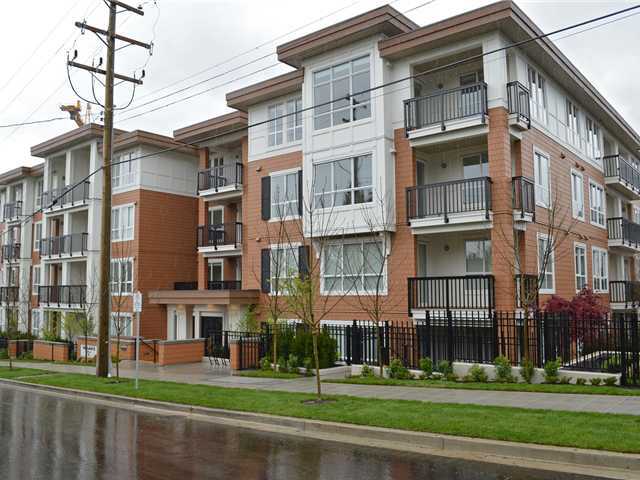 Located near to parks, shops, restaurants, transit and more. "The Square" 630 sf one bedroom one bath. Ground level with large deck. Good sized bedroom with large closet and lots of storage. One underground parking spot, one storage locker. 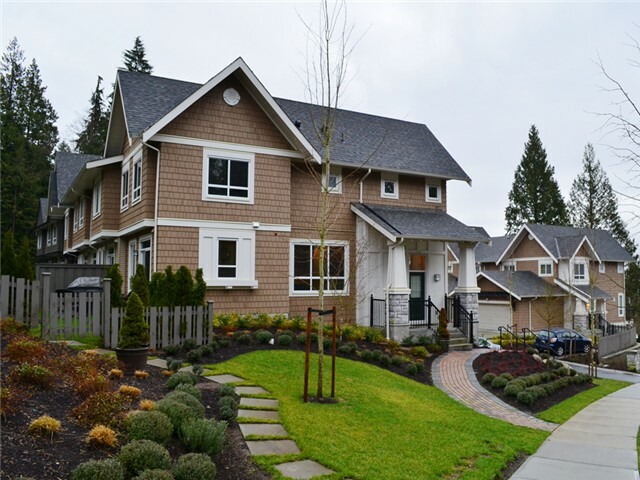 Centrally located in the heart of Port Moody; walk to Sky Train, shops in Suter Brook and Newport Villages, Brewers Row, Rocky Point, Inlet Trails, Port Moody rec centre and library. An excellent place to call home. Approximately 600 sf, one bedroom one bath view suite. "The Austin", built in 2014. Large windows brighten the suite. Sunny kitchen with stainless steel appliance package, quartz counter tops and backsplash, lots of white cabinets. Northern view from the good sized deck. Ideally located near to transit, schools, restaurants, shops and access to Hwy 1. Approximately 5300sf, five bedroom, four bath home. Older home with great character. Double garage. Lots of additional parking. Full appliance package. Pool is not operational. Near to all levels of schools, shops, Hyde Creek Recreation Centre, trails. Six month lease, then month to month. 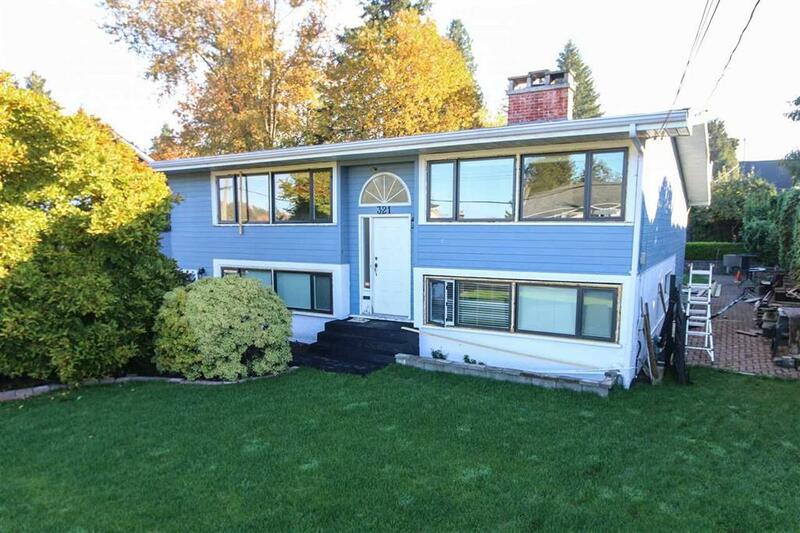 An ideal, spacious 1800 sf family home in a convenient family friendly cul-de-sac. Renovated kitchen and baths and recently painted throughout. Sunny white kitchen with lots of cabinets, counter space and a full stainless steel appliance package. Sliding doors lead to the entertainment sized, covered deck. Family room just off the kitchen. Living and dining area with hardwood floors and large windows allowing for an abundance of natural light. Three good sized bedrooms up, master suite with ensuite. Large, level, private yard with lots of space for play. Fully fenced backyard. Lots of storage throughout. Single garage with additional parking in the driveway. Well located near to all levels of schools, shopping and recreation. Ground level with large, private deck on the quiet side of the building. Approx 818 square feet, one bedroom and den. Spacious living room with gas fireplace. Large kitchen with lots of cabinets and counter space opens to dining room. Den could be second bedroom. One bath. Insuite laundry, lots of storage. One underground parking space, visitor parking for guests. Building amenities include club house, well equipped exercise room, sauna. Near to shops, recreation centre, library, West Coast Express, bus loop, trails. Must see stunning former show home in sought after Burke Mountain neighbourhood. Approximately 3825 square feet, three years old. Bright and sunny great room with panoramic view of the City. Kitchen with lots of cabinets, counter space, full high end stainless steel appliance package, pantry. Adjoining dining room with door to a large deck. Four generous sized bedrooms upstairs, master suite with spa-like ensuite and large walk-in closet. Stunning view. Downstairs find a additional bedroom and enormous games room; lots of space for the entire family. Great backyard. Double garage; additional parking in driveway. Near to walking trails, Smiling Creek Elementary School, parks. Top floor, corner suite facing the quiet gardens. large den could be second bedroom. Spacious sunny kitchen with lots of cabinets and counter space, full appliance package. All new fixtures, new flooring, freshly painted throughout. Three year restoration project of entire building just completed. 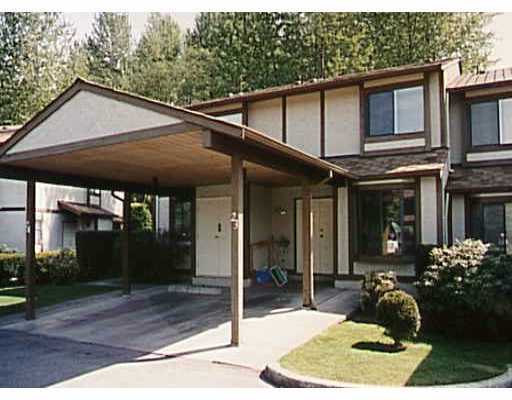 Excellent location steps to Coquitlam Centre, Skytrain Station, Douglas College, Lafarge Lake, all other amenities. 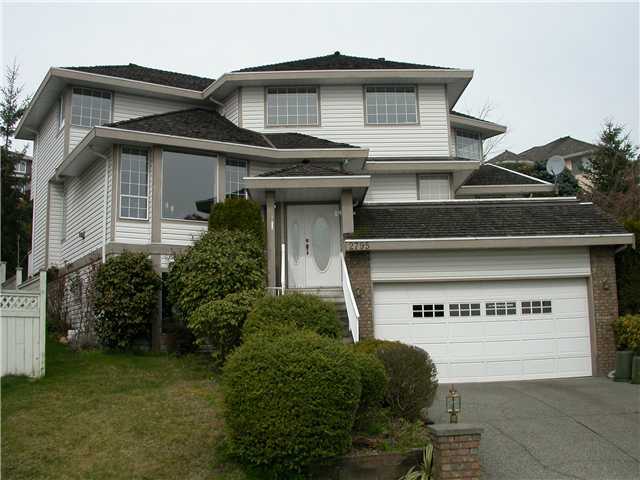 Four bedroom, 4 bath suite in sought after "Black and White". Quiet corner suite. Open layout with 9' ceilings and lots of windows. Approximately 1610sf; 3 years old. Sunny kitchen with gas stove, lots of counter space and cabinets. Full stainless steel appliance package. Spacious two car garage; street parking. Lots of storage throughout. Great amenity room. 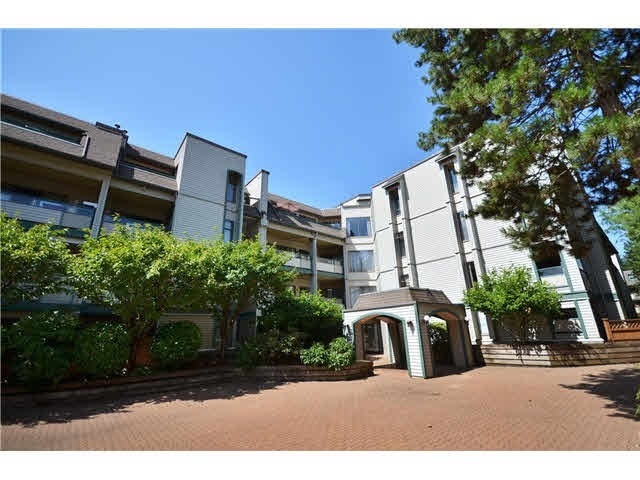 Walk to Evergreen Skytrain Station, shops, restaurants. Family friendly neighbourhood. Walk score of 74, transit score of 79. 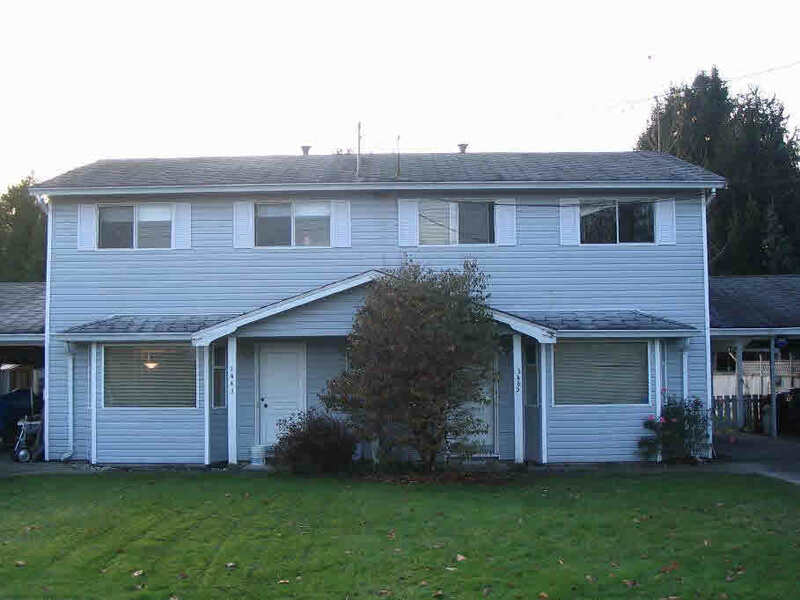 Approximately 2100 sf, four bedroom 2.5 bath family home. Sunny, bright main floor with cosy living room warmed by a gas fireplace. Kitchen with lots of cabinets and counter space and an island that overlooks the backyard. Three generous bedrooms on the main; master with walk-in closet and ensuite. One bedroom, family room down. Lots of storage throughout. Single garage. Lane access. Walk to all levels of schools. 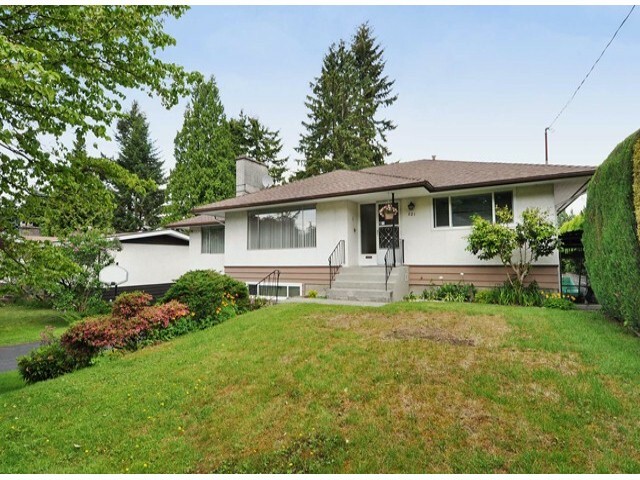 Minutes to Skytrain, shops, Mundy Park, Poirier Rec Centre. Spacious 1200 sf two bedroom, one bath suite. Above ground, bright and sunny. Full appliance package, including laundry (not shared). All utilities included. No smoking of any kind on the premises, no pets. Extensively renovated 910sf ground floor two bedroom 2 bath suite. New laminate and tile flooring. Finished in designer paint colours. Sunny kitchen with lots of wood cabinets, led lighting and granite counters. Lots of work space. The building had windows and sliding doors replaced in 2013. Two underground parking, one storage locker. Shared laundry on same floor. Steps to Burquitlam Skytrain Station, new Safeway, lots of shops and restaurants. Easy commute to Lougheed Mall, SFU. Large basement suite with one bedroom and one bath. Kitchen with lots of cabinets and counterspace; large living/dining area. Shared laundry (with main floor). Steps to Burquitlam Skytrain, new Safeway, shops and restaurants. 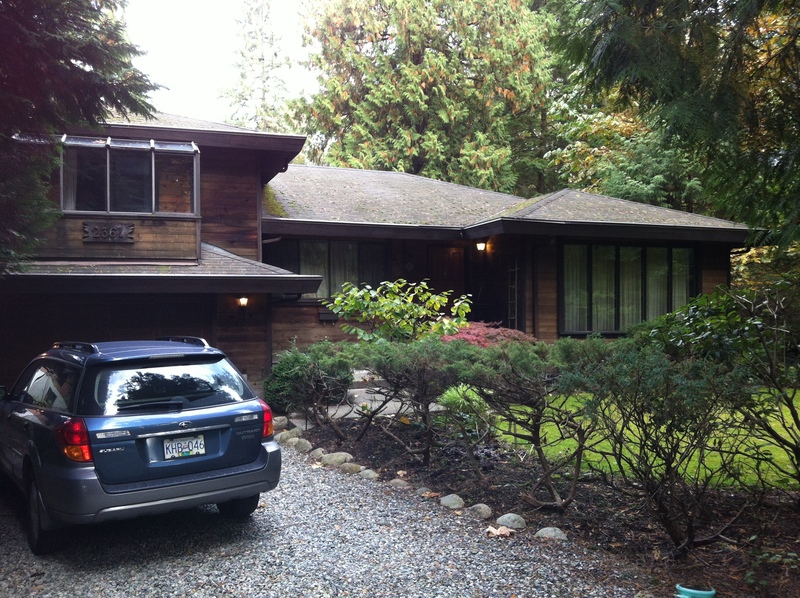 Near to schools, easy commute to SFU. No smoking of any kind, no pets. Ground floor suite in popular "The Square". Well designed suite with over height ceilings, 630 sf, one bedroom one bath. Sunny kitchen with lots of cabinets and counter space. Full appliance package. Insuite laundry. One underground parking spot; one storage locker. Building amenities include fitness centre; party room with pool table, kitchenette and tv; dance studio and on site playground. 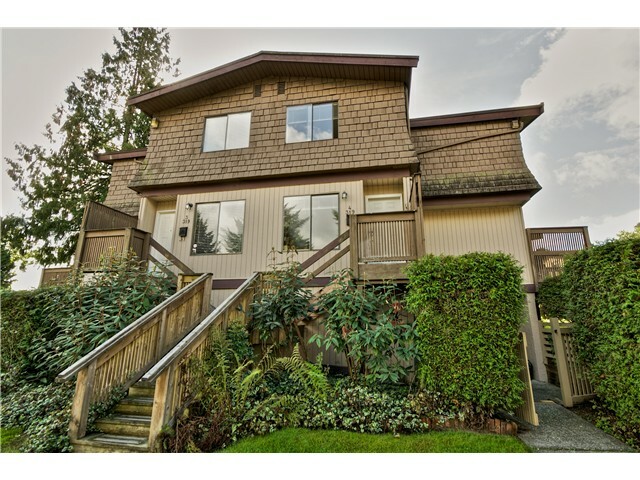 Just steps to the Evergreen Line, Westcoast Express, Suterbrook and Newport Villages, trails, public library and more. 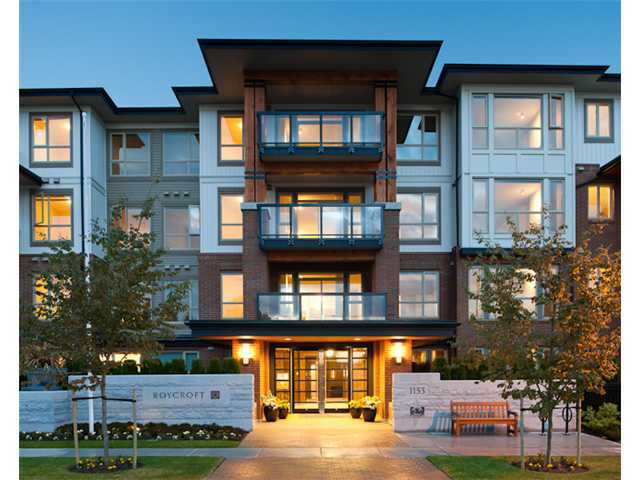 Stunning two bedroom, to bath suite in popular Edgemont at Westview Village. Corner suite on the eighth floor with panoramic views of the City and mountains. Spacious 950 sf, floor to ceiling windows naturally brighten the suite. Sunny kitchen with granite counters, gas cooktop, full stainless steel appliance package and lots of wood-grain cabinets. Good sized bedrooms with lots of closet space. Insuite laundry. One underground parking space, one storage locker. Building amenities include a professionally equipped gym, party room, guest suite. Well located steps to the Evergreen Line, Coquitlam Centre, lots of other shops and restaurants, Coquitlam Public Library, City Aquatic Centre, Douglas College, Lafarge Lake, walking trails. 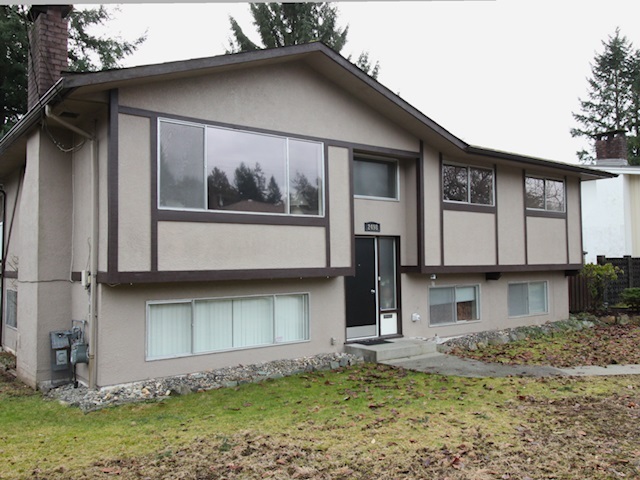 Approximately 2100 sf, three bedroom, 2 bath duplex. Sunny kitchen. All appliances included. Near to all levels of schools, transit, shops and restaurants. $2400 per month includes the suite. No smoking, no pets, references. Corner, two bedroom and den suite in "Symphony at Gates Park". Well designed 1100 sf suite maximizes space and is brightened by oversize windows and has 9' ceilings. Large sunny kitchen with lots of cabinets, granite counters and a breakfast bar. Full stainless steel appliance package. Laminate flooring through most of the suite. Two good sized bedrooms with lots of closet space. Two full baths. Insuite laundry. Plenty of storage. Large covered deck. One reserved parking, one storage locker. Steps to Gates Park, downtown Port Coquitlam with lots of shops, restaurants, transit. Near to Riverside Secondary. Spacious, approx 2800 sf 3 bedroom, 2 1/2 bath home. Sunny kitchen with original oak cabinets, lots of counterspace and access to the sundeck and wrap around balcony with view of the mountains and river. Good sized living and dining areas. second bedroom also with walk-in closet. and lots of storage or workshop area. Peace of mind with a six year old roof, new hot water tank. Double garage with new door. Lots of additional parking in the driveway. Fenced backyard. Near to schools and transit. Stunning, approx. 2250sf (top two stories, basement not included) of renovated view home. Maple hardwood flooring through the most of the main floor, 60oz carpeting through the rest. Beautiful kitchen with lots of cabinet and counter space, stainless steel appliance package. Unobstructed view over the park, mountains, Pitt River and City from the kitchen, eating area, family room and enormous (725sf) deck. Games room and three spacious bedrooms up; master with full ensuite. Lots of storage throughout. Fully fenced lot. Single garage additional parking in driveway. Quiet residential area. Near to schools. Short drive to shops and recreation; transit including the Westcoast Express and Evergreen Line. Approx 2000 sf, bright and sunny corner suite. 3 levels, 3 good-sized bedrooms, 3 baths. Large deck overlooking a partial river view. Single carport with additional parking available. Popular Mary Hill neighbhourhood near to schools, parks, trails. Two bedroom, one bath home with full basement; approx. 1770 sf. Home is being currently remodelled with hardwood flooring and fresh paint; photos are for layout purposes only. Good sized lot with fully fenced backyard, perfect for children and pets. Lots of storage. Single carport. Sought after family oriented, established Glenayre. Near to schools, parks, transit stops. Brand new two bedroom, 2 bath suite in sought after Uptown 1. Open floor plan, designer colour palate, sylish fabric roller blinds. Stainless steel appliance package, soft close cabinetry. quartz stone counters. Seamless engineered flooring throughout living areas, plush carpeting in bedrooms. 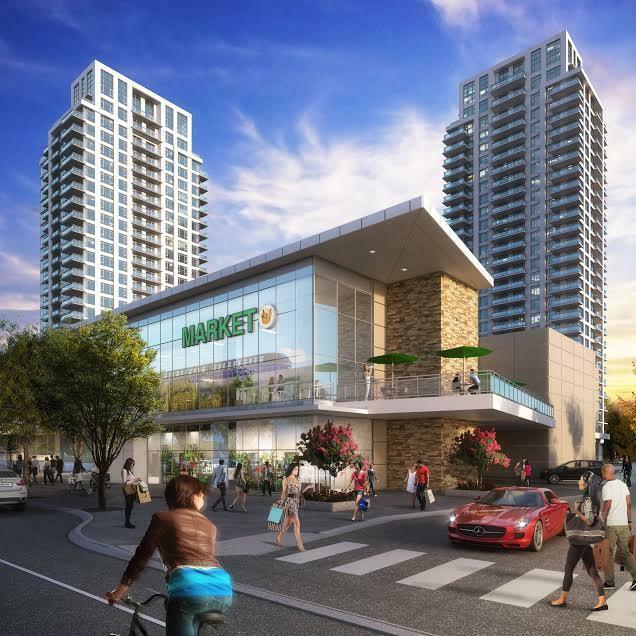 New ground floor grocery (Safeway), steps to Skytrain (Evergreen Line) station. 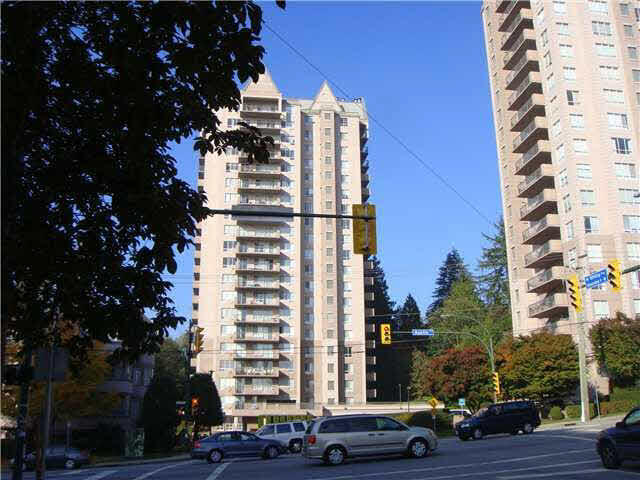 Near to restaurants, parks, schools, SFU. Building amenities include fully equipped gym, yoga studio, steam room, sauna. Two underground parking spots, one storage locker. No smoking, no pets. References. 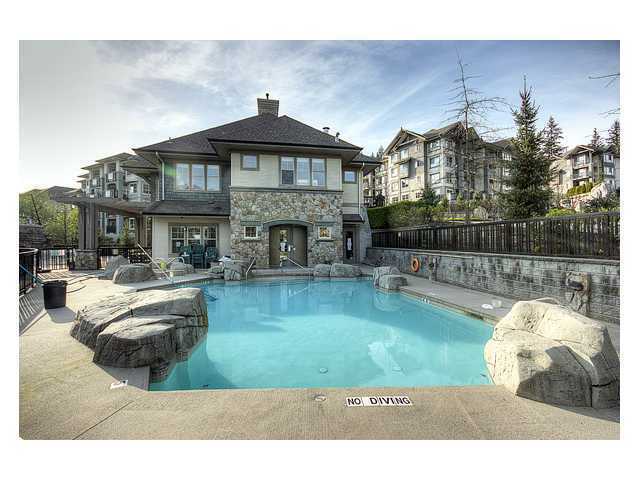 Two bedroom, one bath suite located in a sought after family neighbourhood of Burke Mountain. Near to great trails and all amenities. 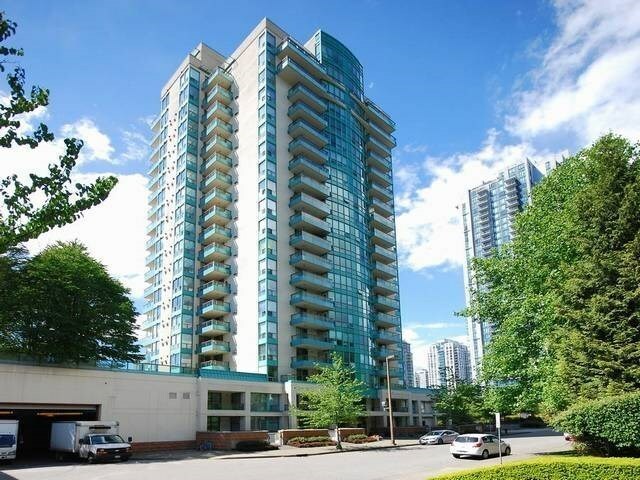 Spacious 1060 sf, bright, above ground basement suite. Two roomy bedrooms, one with sliding doors to the covered patio. One bath. Spacious living and dining room combination with gas fireplace. Sunny kitchen with lots of cabinets and counter space and pantry. Fully fenced backyard with large deck. 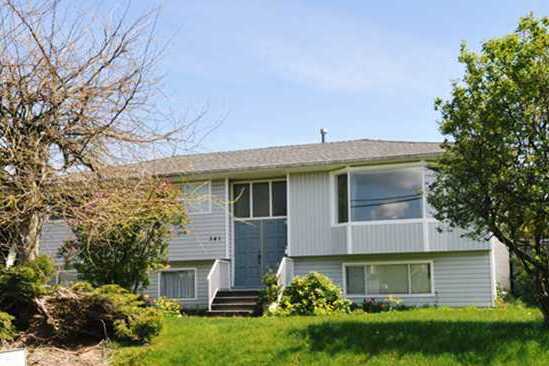 Quiet, family oriented neighbourhood one block to a park, near to schools and transit. 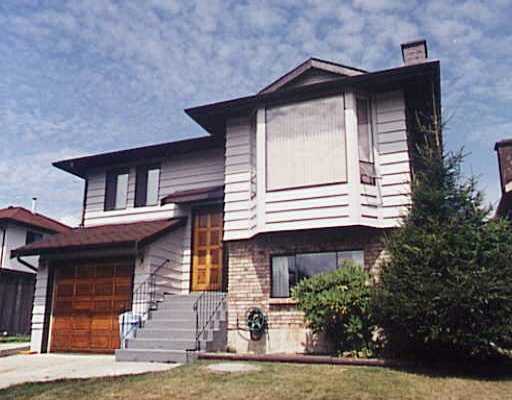 Nestled in an established, sough after, prime central neighbourhood on a large flat lot, fully fenced. 1,540 sf (approximately) with four bedrooms (3 up and one down) and 1.5 baths. Renovated kitchen with gas stove and stainless steel appliance package. Remodelled bath; large master bedroom with ensuite. Polished hardwood floors, large windows and fireplace in the living room. Huge deck. Shared laundry, double garage. Southern exposure. Walk to schools, recreation, parks and near to transit stops, shopping and more. $2000 per month plus 2/3 of utilities. 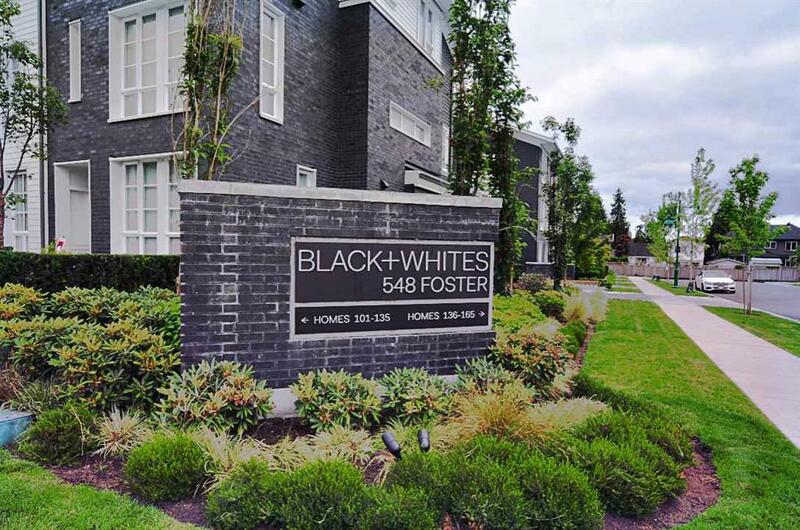 Nestled in prestigious "Black + White" conveniently located in the heart of Burquitlam only a quick walk to the Evergreen Skytrain line, elementary and middle schools, park, shops, restaurants and near to Lougheed Mall. Two year old suite with open floor plan, lots of natural light throughout, neutral colours, mixed laminate and carpet floors. Beautiful and spacious 4 bedrooms; three on upper floor (master with full ensuite and additional full bath) and one down with full bath. Could easily be used as a quiet, private home office. The family gourmet will love the kitchen with the gas cooktop, stainless steel appliances Pacific hood fan, granite counters. Lots of space to entertain in the large living room and good-sized dining room. Well designed complex with amenity building complete with kitchenette, fitness centre, yoga room. Double side by side garage, lots of storage. Spacious 1000 sf, two bedroom, two bath suite. Top floor corner suite with open floor plan, 9' ceilings brightened by floor to ceiling windows overlooking Gates Park. Southern exposure. Well designed kitchen with lots of cabinets, stainless steel appliance package, granite countertops. Flexible living room/dining room combination warmed by a gas fireplace and with a door to the deck. One underground parking spot. Street parking. Visitor parking for guests. Excellent building amenities including fully equipped media room, fitness studio and billiard room. Tennis courts across the street, PoCo Trail, library and lots of great little shops and restaurants. Minutes to Westcoast Express and central bus station. 2 bedrooms and den or 3 bedrooms. Bright and sunny living room with gas fireplace. Dining room easily seats 8. Eat-in kitchen with lots of cabinets and counterspace. Rent includes includes hydro and gas. No smoking, no pets. Top two floors (basement excluded) with approx. 1200sf. Master bedroom on main floor, two additional good-sized bedrooms up. Well laid out eat-in kitchen with lots of cabinets and counterspace and a door to the backyard. Private laundry (not shared with suite). Large, fully fenced lot. Open parking. 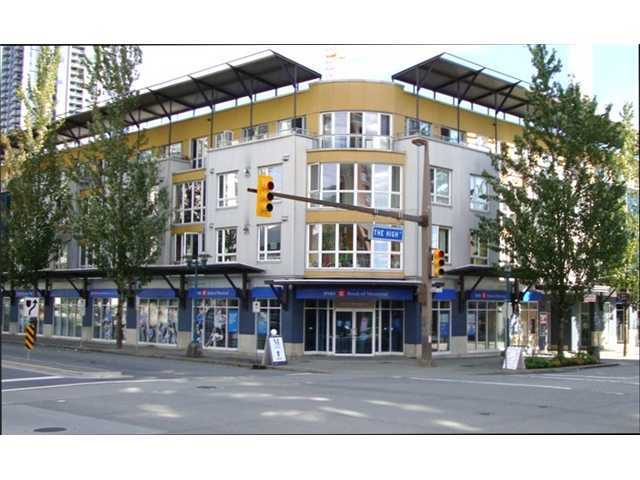 Very convenient location near to Lougheed Mall, Skytrain, SFU, lots of great shops and restaurants.Rent includes utilities. Sought after two bedroom, 2 bath suite on the fifth floor of "The Bentley" right in the heart of Newport Village. 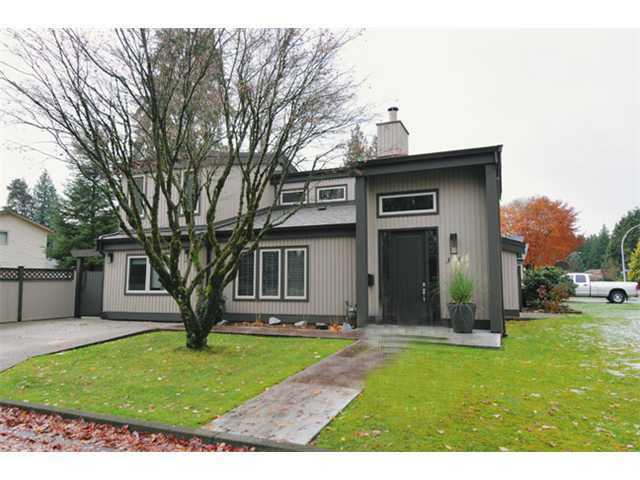 Approx 955sf features an open plan brightened by many oversize windows. Kitchen with stainless steel appliance package, lots of cabinets and counterspace. Flexible dining and living room combination opens onto a large covered deck with view of the Northshore Mountains and the Village. Large master bedroom with huge closets and beautiful ensuite bath. Second bedroom with access to the second bathroom. Building amenities include a professionally equipped fitness centre and huge rec room with wet bar and pool table. Near to the Westcoast Express, public transit, Rocky Point Park, the Port Moody Public Library, rec centre, Inlet Trails, and so much more. Renovated! One bedroom, one bath basement suite. Highway 1 and the Lougheed Highway as well as transit. Very rare rental home on this well-regarded family street. Approximately 2150 sf, 4 bedrooms (3 on the main, 1 down). eat-in kitchen with lots of cabinets and counter space. Large rec room down, lots of storage down. Newer vinyl windows, newer furnace will help keep energy bills down. Gorgeous landscaped fully fenced backyard. 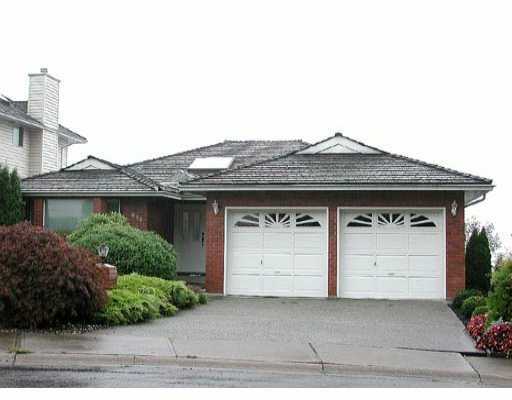 Approx 1300 sf, 3 bedroom, 3 bath suite in popular "Tyneridge". Open floor plan, contemporary style. Upgraded laminate flooring throughout. Sunken living room. Beautiful kitchen with stainless steel appliance package, granite counters and lots of cabinets. Powder room on the main. Two decks. Master bedroom with luxurious 5 piece ensuite. Two additional good sized bedrooms. Two car tandem garage. South facing backyard. Well positioned near to schools, transit, shopping, recreational facility and trails. Golf course, Georgian Rowhomes; "The Dominion". Three levels, high ceilings. Sunken living room that opens onto full width deck with steps to the backyard. Sunny kitchen with centre island, high end appliances, pantry. Two bedrooms, master with full wall of closet space. Steps tot he Traboulay Trail, Fremont Village and near to schools and transit. One garage. Visitor parking for guests. Available for between 3 and 6 months. Incudes Hydro, cable and furnishings. 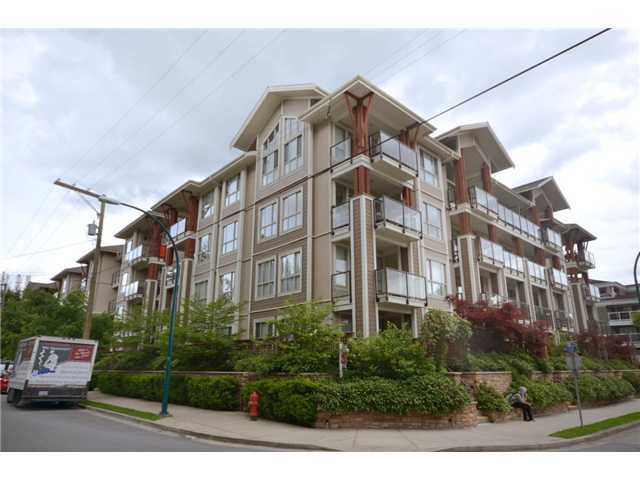 630sf, one bedroom suite in the heart of Port Moody. Ground level suite with hardwood and ceramic tile floors throughout. Sunny living room with doors to a good-sized patio and fireplace. Kitchen with lots of cabinets and counterspace. "The Square" building offers fully equipped fitness centre, games room, large lounge complete with kitchen. 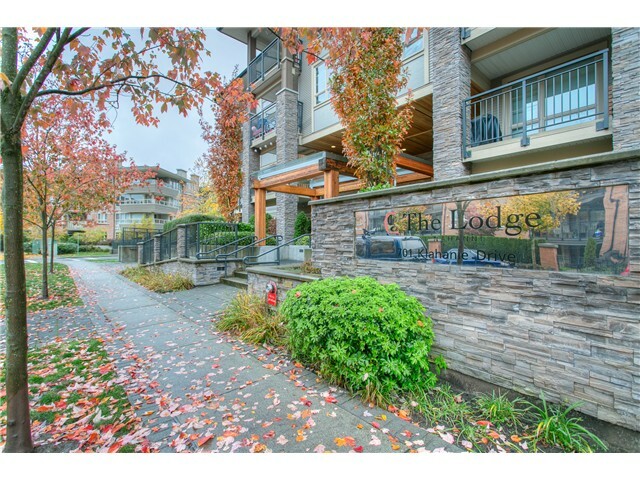 Located steps to Suter Brook Village with lots of great shops and restaurants, West Coast Express, Port Moody Rec Centre and library, Rocky Point Park, Inlet trails. 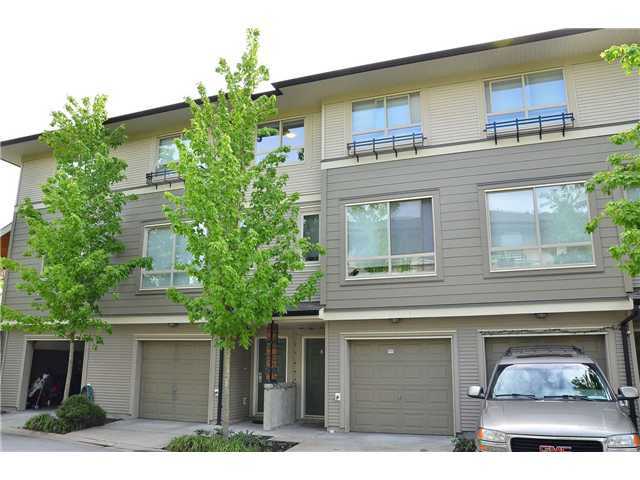 Large 2 level (approx 1000sf) 3 bedroom townhome in "Highland Park". Good sized living room with sliders to deck and well laid out, sunny kitchen. Complex features an indoor pool. Near to Suterbrook and Newport Villages with lots of shopping and restaurants, Port Moody rec centre, library and Inlet Trails. two down in the self-contained suite. Bright functional floor plan with spacious living room and dining room combination. Two baths up renovated in approximately 2012. Separate laundries for the main floor and for the suite. Double garage, lots of storage. parks, public library and swimming pool. 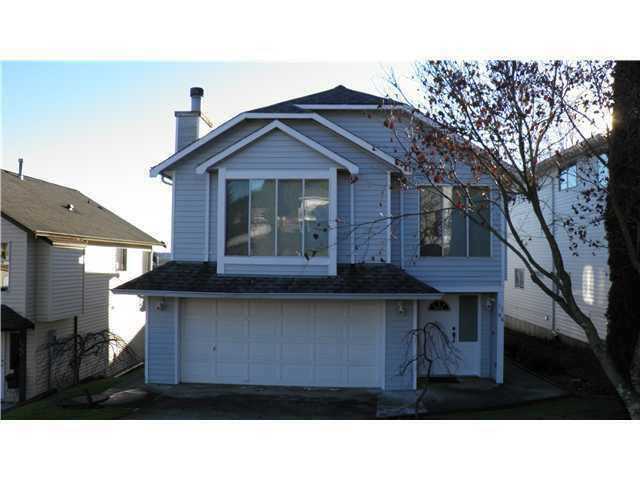 Partially remodelled 3 bedroom, 1 1/2 bath half duplex. New flooring, fresh paint, new full bath. Fully fenced yard, single carport. 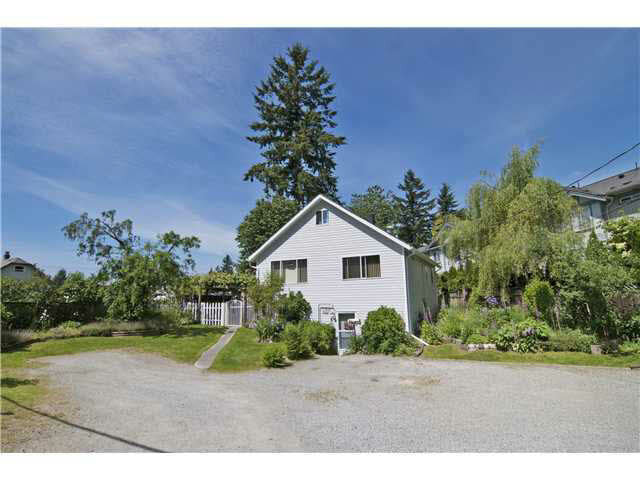 Quiet location overlooking farmland and great mountain views. 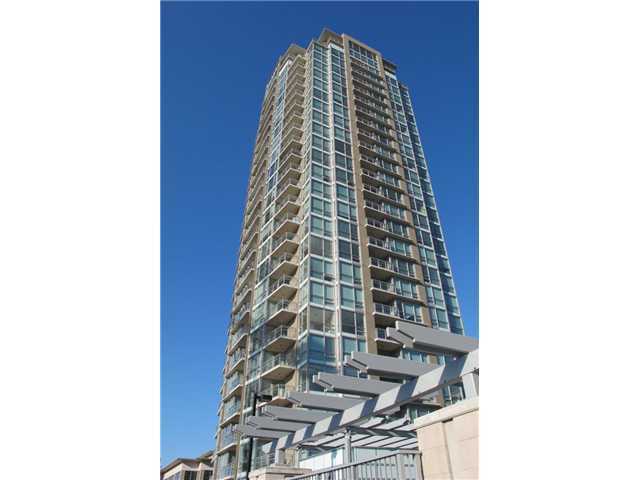 Stunning and bright 16th floor view suite in popular Nahanni. Approximately 860 sf, two good-sized bedrooms with lots of closet space, two baths. Sunny kitchen with lots of cabinets and counter space, full stainless steel appliance package. Flexible dining/living room combination with gas fireplace and doors to a deck. Floor to ceiling windows naturally brighten the suite and showcase a beautiful, partial water view. Includes access to the Canoe Club world-class amenities including outdoor pool, hot tub, tennis courts, professionally equipped fitness centre and much more. 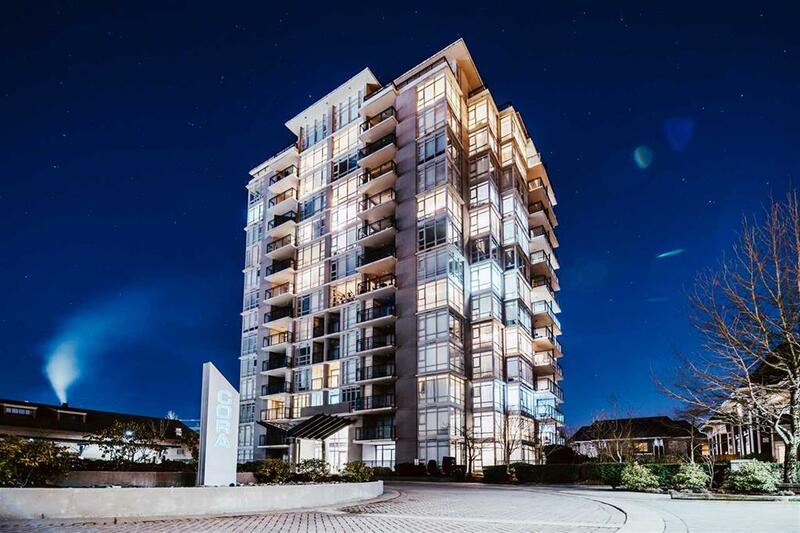 Steps to grocery store, great restaurants and shops, banks, the Inlet Trails, public library and Port Moody's rec centre and the upcoming Skytrain. Spacious, 1200 sf top floor of duplex. Insuite laundry. Great deck. Carport. 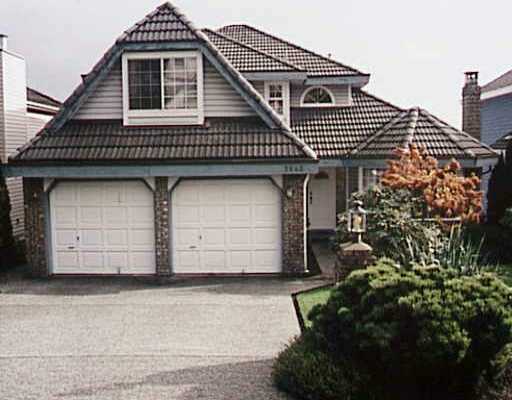 Beautiful, sought after Anmore; near to walking trails, beach and more. 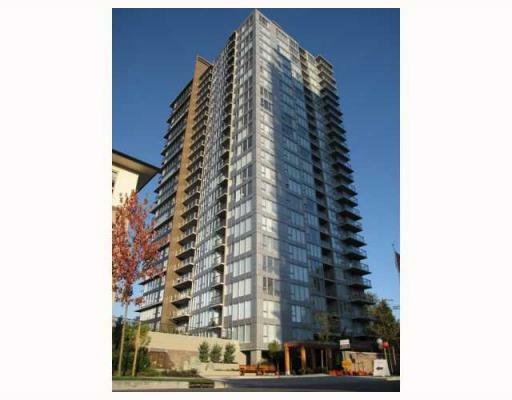 Stunning 765 sf, 2 bedroom 1 bath suite in "The Austin". 17th floor corner suite, northeast to southeast views of the river and mountains. Huge windows naturally brighten the entire suite. Well designed kitchen with lots of cabinets and white quartz counter space, stainless steel appliance package, double undermount sinks, breakfast bar. Flexible living and dining room combination with access to entertainment size balcony. Master bedroom with sliders to second balcony. Bedrooms situated on opposite ends of the home. Building amenities include professionally equipped fitness centre. Walk to shops, restaurants, transit, SkyTrain. 860 sf, two bedroom suite in Whister-inspired , sought after "Summerlin" at Silver Springs. Bright second floor backs suite backs onto quiet greenbelt. Sunny kitchen with lots of cabinets and counter space overlooks the flexible dining/living room combination. Stainless steel appliance package with gas stove. Master bedroom with walk-in closet and full ensuite with soaker tub. Finished in neutral colours and laminate floors. One underground parking spot, near to visitor parking for guests. Building amenities include outdoor pool and hot tub, professionally equipped fitness centre, entertainment room with pool table and more. Walk to Douglas College, Lafarge Park, library, transit, Coquitlam Centre. 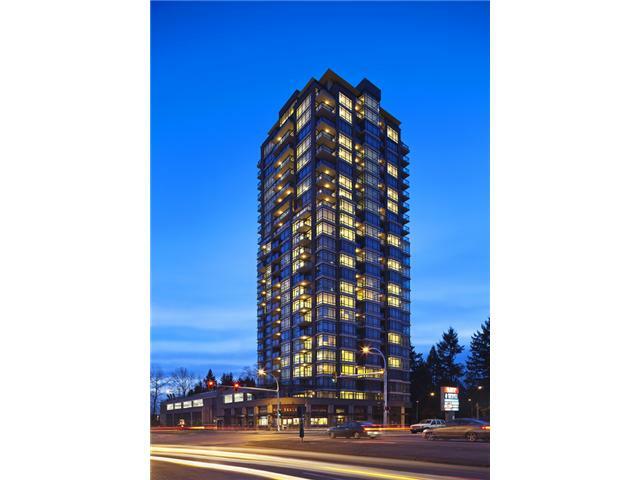 19th floor, two bedroom, two bath suite in sought after Nahanni building. Well designed, 860 sf, bright and sunny with floor to ceiling windows showcasing a mountain view. Kitchen with lots of cabinets, granite counters and gas stove. Full appliance package including washer and dryer. Good sized bedrooms, master with walk-in closet and ensuite complete with soaker tub. 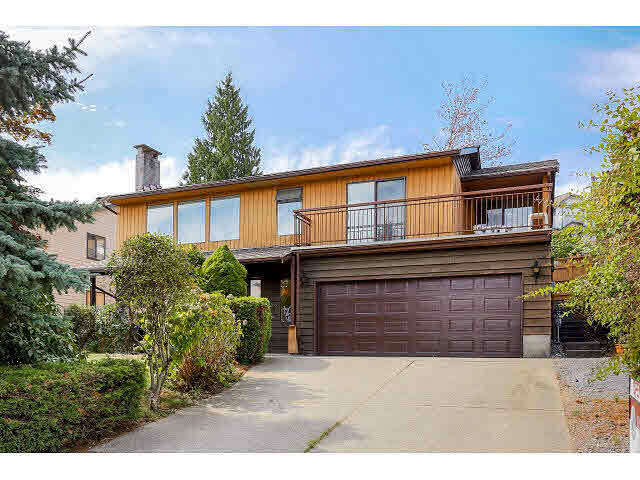 Beautifully located; walk to shops, restaurants, public library, Port Moody rec centre, Inlet Trails. 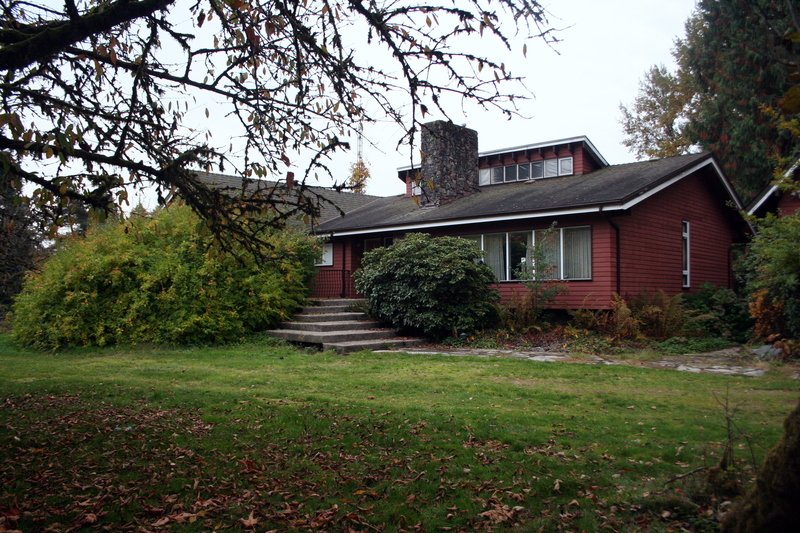 Four bedroom, 1 bath, 1600 sf home on beautifully landscaped property. 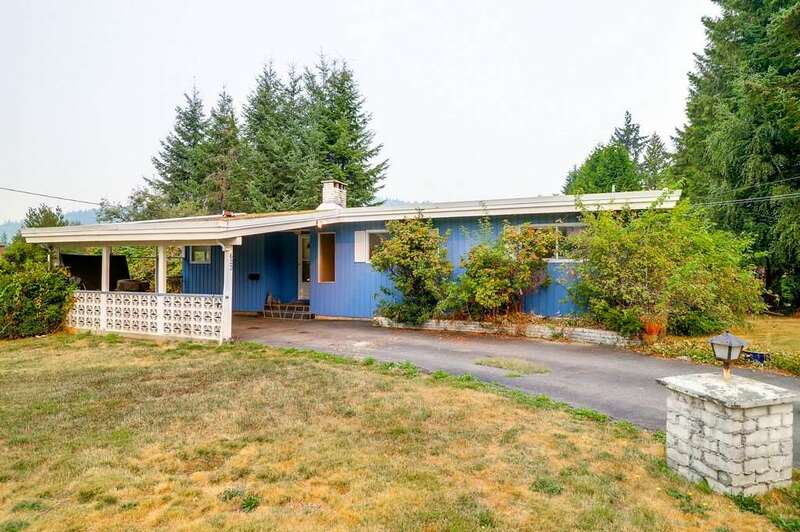 Main floor with sunny living room, updated kitchen with ample counter space, lots cabinets, full appliance package including gas stove and eating area. Generous sized master bedroom on main. Four piece bathroom. Upstairs find an enormous loft that can be used as a family room and 2 additional bedrooms. Home has been updated with double glazed windows, furnace and hot water tank. Open parking for five vehicles. 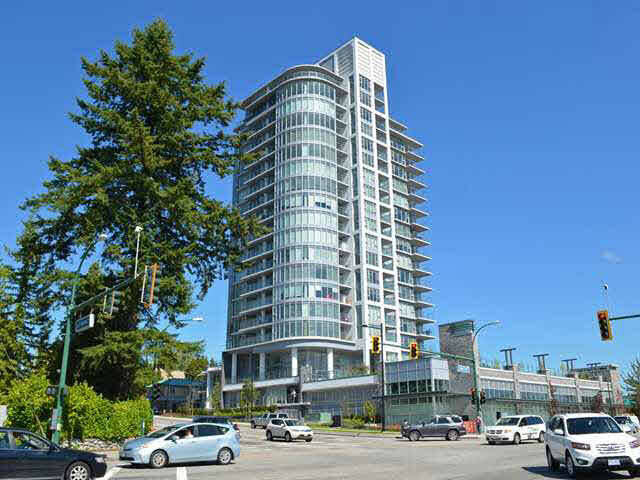 Near to all amenities and an easy commute to SFU. TOP FLOOR ONLY! Spacious 3 bedroom family home. Some renovations, including newer furnace, heat pump, hot water tank. New laminate and lino flooring throughout the main. Large sunny eat-in kitchen with lots of cabinets and counterspace. Living room and beautiful, professionally added sunroom complete with electric powered blinds allows for lots of living and play space. Large fenced yard and beautiful landscaping including large fish pond. Lots of storage throughout, parking is open with space for 2 vehicles. Near to shops, schools, transit. Sought after Aria II, gorgeous 650sf one bedroom, one bath on the third floor. Well designed to maximize space; oversize windows make the suite bright throughout. High end faux-wood flooring throughout. Custom stone feature wall in the bedroom. Kitchen with custom stainless steel appliance package, granite countertops, gas stove. Insuite laundry. Covered balcony. One underground parking spot. Excellent amenities right in the building include swimming pool, hot tub, full size professionally equipped gym, squash court, theatre room and more. 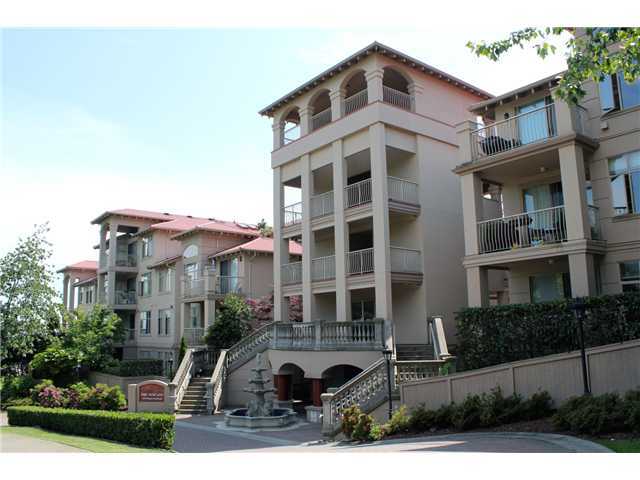 Steps to all sorts of trendy shops and great restaurants in Suter Brook Village. Well maintained family home in centrally located, great neighbourhood. Approximately 2088 square, 3 bedrooms and 2 baths. Updated sunny kitchen with lots of cabinets and counter space, eating area and a dining room. Large living room. Original hardwood floors. 17x7 covered deck overlooking the treed backyard. Single garage, lots of additional parking in driveway. Near to parks, schools and public transportation. "The Parc" luxury residences offer luxury and style with only six suites per floor and two elevators for only 96 suites. This 8th floor, 2 bedroom 2 bath home features an open floor plan with brightened by many floor to ceiling windows and hand scraped wood floors. Kitchen with Bosch stainless steel appliance package, granite countertops, lots of cabinets. Electric fireplace set in custom millwork in the living room. Covered deck. Insuite laundry. One underground parking stall, visitor parking for guests. 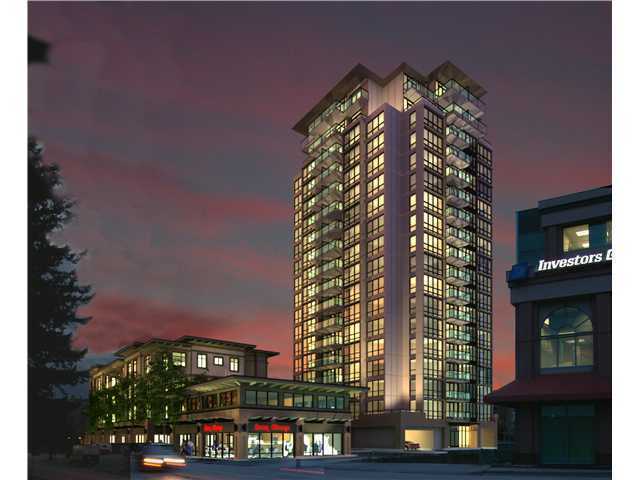 Excellent building amenities include professionally equipped exercise centre, media room, concierge. 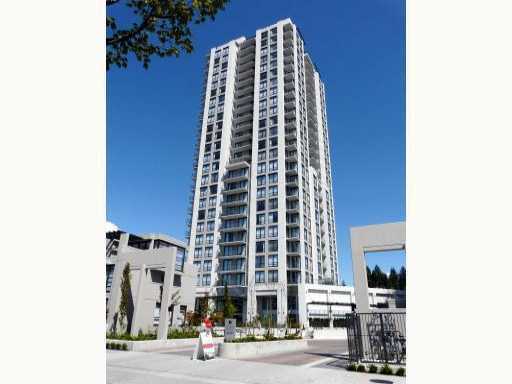 Walk to Coquitlam Centre, lots of other great shops, the library, Lafarge Lake, aquatic centre and so much more. 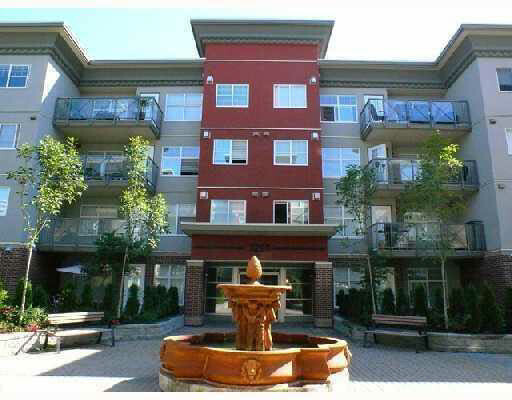 Spacious one bedroom, one bath fourth floor suite in a well maintained and cared for strata complex. Large white eat in kitchen with lots of cabinets and counterspace. Flexible living and dining room combination with gas fireplace overlooks a private secluded park like setting. Great southern exposure. Large bedroom with walk-in closet, cheater ensuite and oversize window overlooking the tranquil setting. Insuite laundry with lots of storage. One underground parking, visitor parking for guests, one storage locker. Near to West Coast Express, Newport and Suterbrook Villages, Rocky Point. Brand new "Regan's Walk", an exciting new neighbourhood set in a great location. Contemporary architecture and a fresh, modern interior featuring 9' ceilings. Well designed kitchen with Whirlpool appliance package, soft close cabinets, pantry, work station and beautiful quartz counters. 705sf, one bedroom with lots of closet space and access to the bath. Den with window, perfect for a home office. Insuite laundry, storage locker, one underground parking, guest parking for visitors. 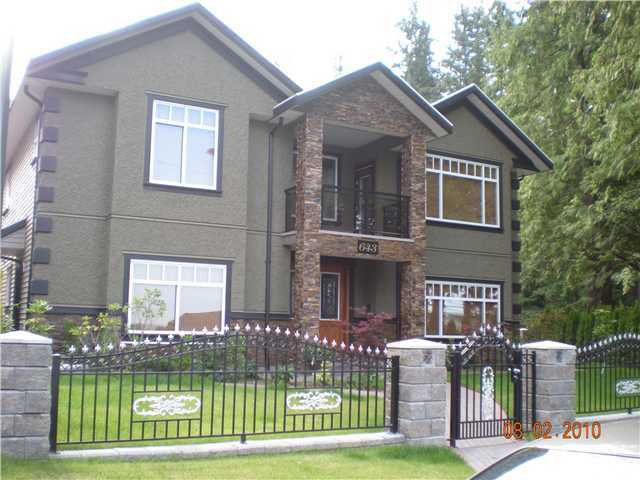 Located near the new Burquitlam Station near to shops, restaurants, transit, schools. Spacious 955sf, 2 bedroom 2 bath in sought after "The Bentley" in Newport Village. Open floor plan with features kitchen with stainless steel appliance package, lots of cabinets and counterspace. Large dining and living room combination open onto a large covered deck with view of the North Shore mountains and the Village. Two generous sized bedrooms, master with huge closets and ensuite, second bedroom with access to the main bath. Building amenties include professionally equipped fitness room and rec room. Near to West Coast Express, library, rec centre, Inlet Trails, great Village shops and trendy restaurants. Meticulously renovated 3 bedroom, 2 1/2 bath home in a family friendly neighbourhood of Birchland Manor. Approximately 2000 sf. Sunny kitchen with lots of full-size cabinets and counterspace, full appliance package. Spacious living room overlooking the quiet street. Recreation room down. Fully fenced backyard, single garage with additional parking in driveway. Lots of storage throughout. Near schools, playgrounds, shopping, transit. An amazing opportunity for the right, qualified family. Top two floor (basement not included) of this spacious family home. 2,470 sf includes 3 bedrooms, master with full ensuite. Total 2 1/2 baths. Solid oak kitchen with fully appliance package overlooks the enormous family room warmed by a gas fireplace and with access to a large deck with panoramic view of the mountains and valley. Mixed wood and carpet throughout. Lots of storage, single garage. Near to all levels of schools, transit, shops. Sparkling new two bedroom, one bath corner suite on the 17th floor of the "The Austin". 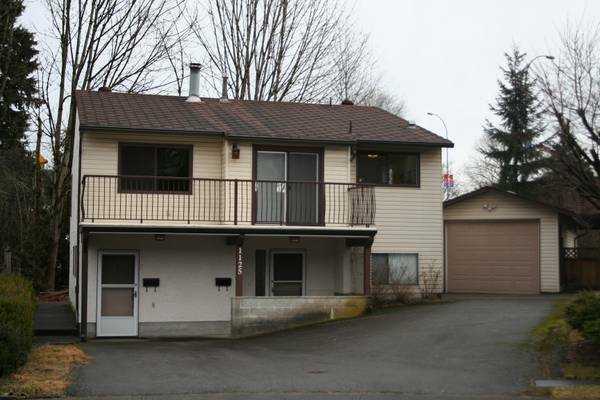 Approximately 760 sf, northeast to southeast facing with scenic mountain and river views and sparkling night view. Open floor plan maximizes space and features oversize windows flooding the home with natural light. Flexible living/dining areas with access to entertainment size balcony. Sunny kitchen complete with full stainless steel LG appliance package, white quartz countertops and backsplash, undermount sinks and breakfast bar. Master bedroom with sliders to second balcony. Bedrooms are on opposite sides for complete privacy. One underground parking, visitor parking for guests. Storage locker. Building offers professionally equipped exercise centre, rec centre, playground, guest suite. Rare, fully accessible home with fully accessible 2 bedroom suite. 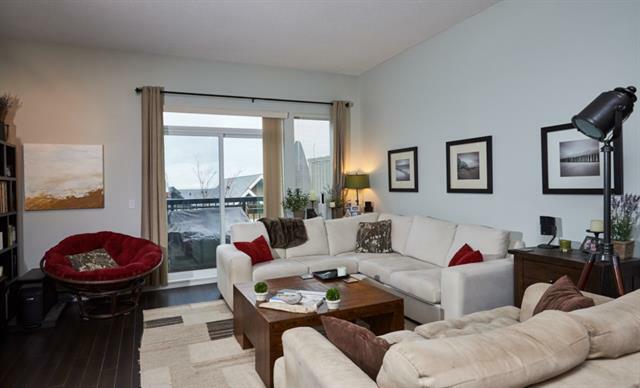 Upstairs find a spacious and bright living room and dining room combination warmed by a gas fireplace. Sunny kitchen with lowered plenty of lowered cabinets and counterspace. Eating area. Two bedrooms, master with ensuite. Two bedrooms suite down, light and bright, beautifully finished. Master bedroom with ensuite. No carpeting, mixed hardwood laminate flooring. Extra wide doorways and hallways. Large shared laundry with tub. Lots of storage. Double garage with additional parking in the driveway. Walk to Kwayhquitlum Middle School, Assumption Catholic School, École des Pionniers. Near to parks, all sorts of shops, transit, West Coast Express. Private corner home in sought after "Tyneridge" with unobstructed views of the Valley and mountains. Craftsman architecture with maximizes space. Bright kitchen with lots of cabinets and counterspace, granite counters and full stainless steel appliance package. Two good sized bedrooms and quiet den. Insuite laundry, lots of storage, double tandem garage. No smoking, no pets, references. Available March 31st. Square footage is approximate and photos are of showsuite, similar but not exactly the same. Walk to all levels of schools including Douglas College, quick bus ride to West Coast Express and Coquitlam Centre, parks, pool, cultural centre. 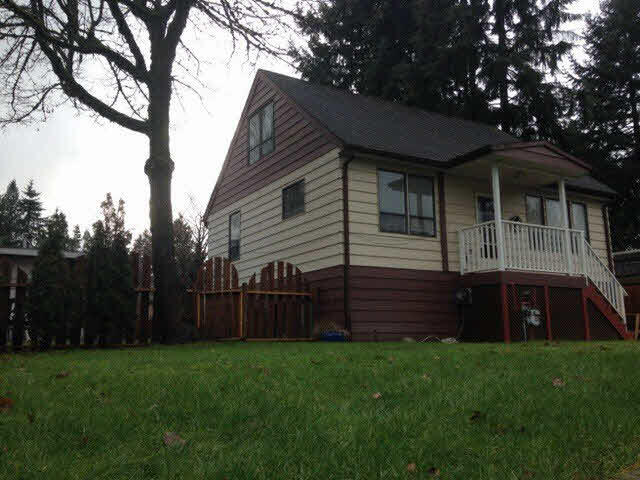 Spacious 3 bedrooms and den, 2300sf family home in popular Ranch Park. Large living room with gas fireplace. overlooking the landscaped back yard. pantry and full appliance package. Big rec room down with heatilator gas fireplace. Good sized den provides a quiet work space. 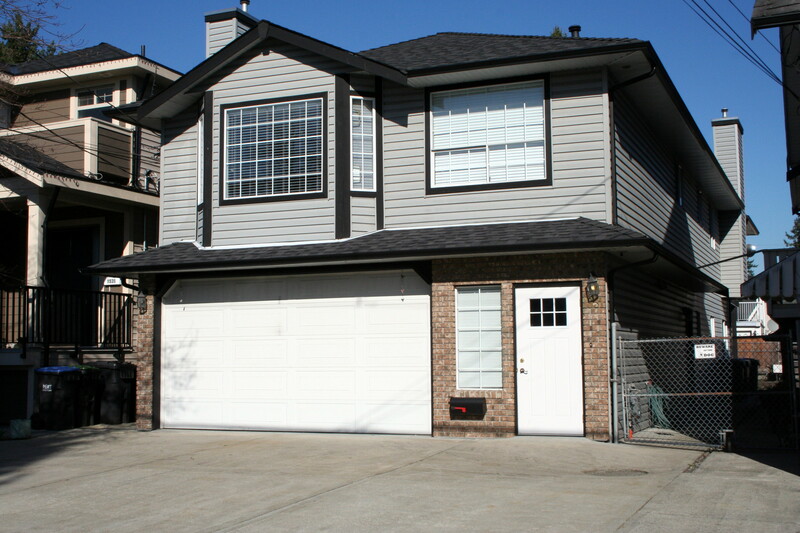 One attached garage and additional parking in the driveway. Ideally located just a short drive to the Westcoast Express, Coquitlam Centre and lots of additional shops, services and restaurants. Near to elementary and secondary schools. Spacious approx. 1000sf, two level townhouse. Remodelled with open floor plan. Sunny kitchen with lots of cabinets and counterspace. Three bedrooms up, 1 bath. Insuite laundry and storage. Deck with view of the North Shore mountains. 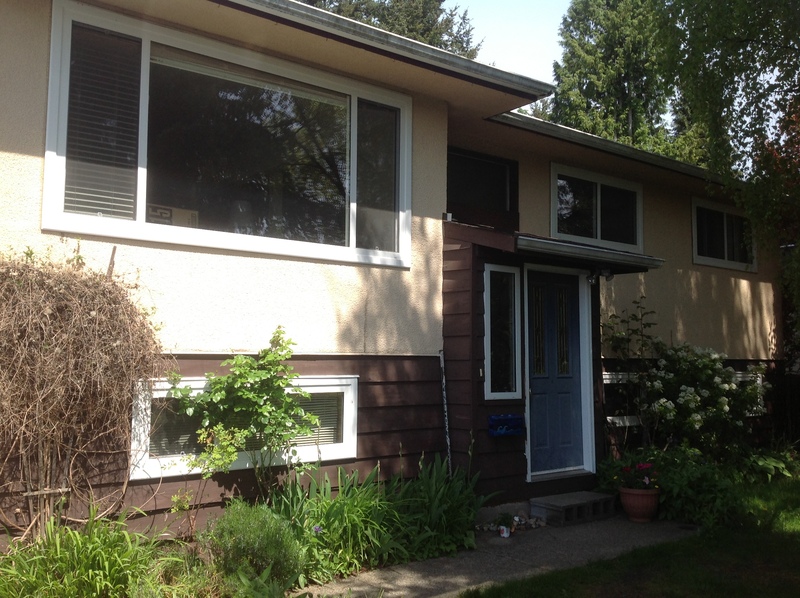 New windows, patio doors, siding and deck repairs completed recently by the Strata Council. 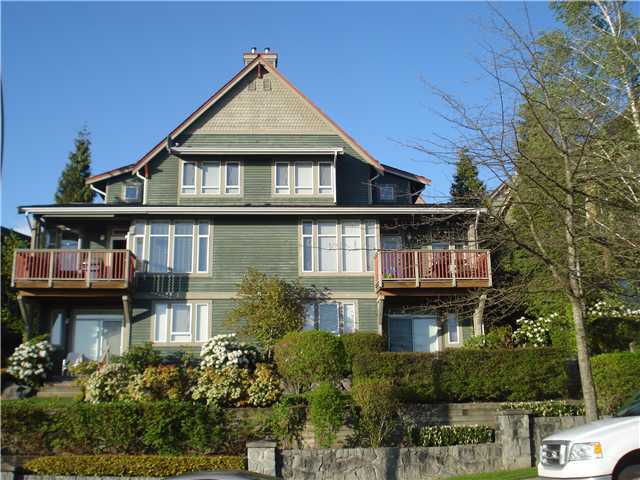 Rare 1600 sf, two bedroom and den corner penthouse suite in sought after two year old "Cascade" on Westwood Plateau. Faces the quiet, landscaped grounds and greenbelt (southeast). Spacious living and dining areas can accommodate larger furniture and is naturally brightened by large windows. Gleaming hardwood floors. Kitchen with granite counters and lots of cabinets and storage. Full stainless steel appliance package. Two secure parking spaces, guest parking for visitors, one storage locker. Master suite with 5 piece ensuite and walk-in closet and generously sized second bedroom. Near to Westwood Plateau Village. Two bedroom, 1 bath basement suite. 2900 sf of well maintained, lovingly cared for home in a great family neighbourhood. Original hardwood floors, spacious room, light and bright. 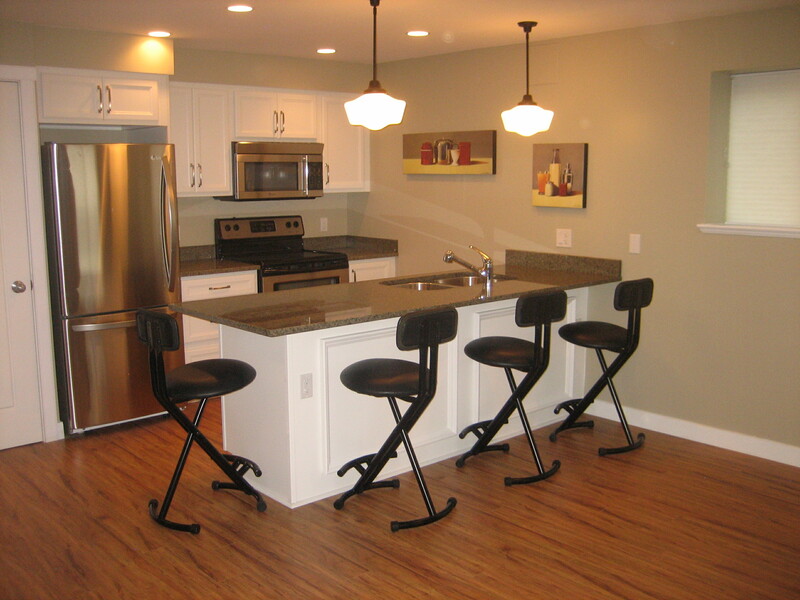 Spacious kitchen with eating bar and eating area. Good sized family room. Large deck overlooking the big, fully fenced backyard. Three bedrooms on main, two down. Daylight basement with summer kitchen and rec room down. 23x18 workshop for the hobbyist. Double garage, lots of parking. Lane access. 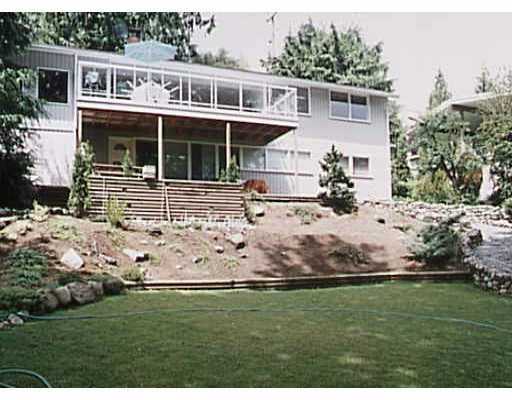 10,200sf lot with mature landscaping for additional privacy. 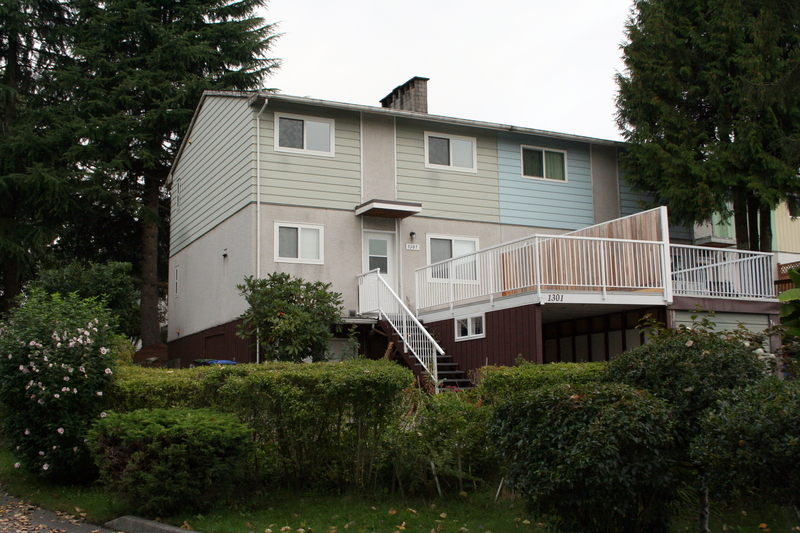 Short walk to an elementary school, transit to SFU, near to Lougheed Mall. No smoking, no pets, excellent references required. 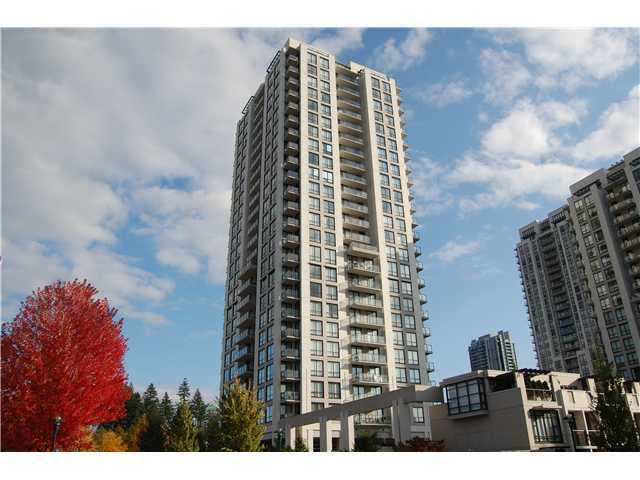 Sought after concrete tower "Nahanni" stunning 2 bedroom 2 bath view suite. 16th floor. Modern open floor plan with full height windows to showcase the mountain view. Great kitchen with lots of cabinets and counter space. Full stainless steel appliance package included. outdoor pool, squash court, guest suites, party room and more. One underground parking, visitor parking for guests. 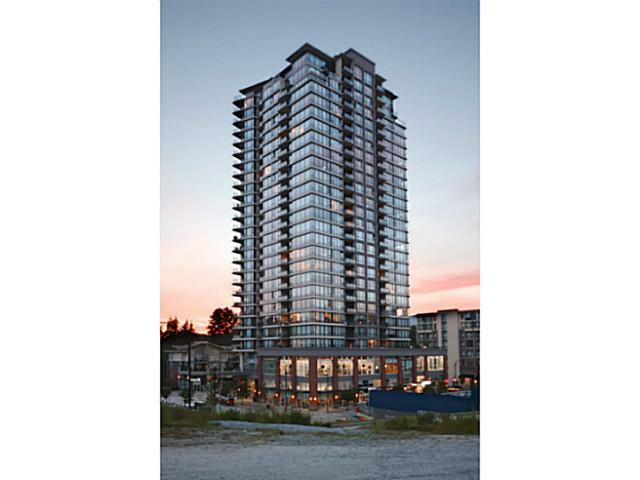 Walk to the great shops, upscale restaurants and pubs, Inlet trails, library, rec centre, Westcoast Express. 3 level, corner unit in great neighbourhood. 3 bedrooms, 1 1/2 baths. Great layout, large rooms. Deck off the kitchen. Full height basement includes great rec room, laundry and workshop. Single carport, lane access. Fenced backyard. Near to great schools and parks. Unique and charming character home lovingly maintained and in immaculate condition. 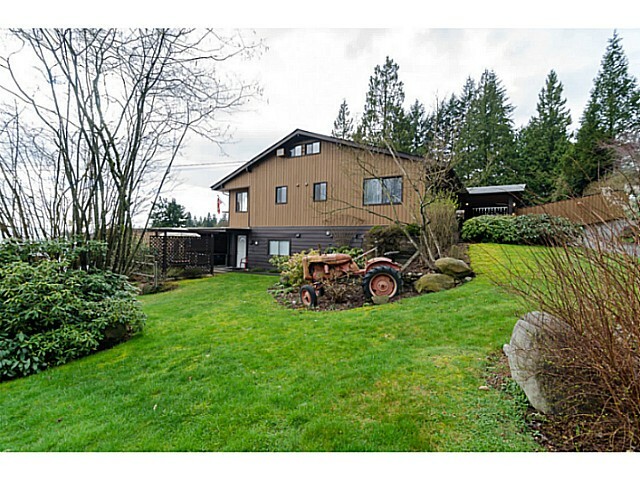 Spacious 4000sf, 5 bedroom (3 on main, 2 in loft) home on private 1/2 acre with stunning southeast views of Mount Baker. Above ground basement with additional bedroom or den. Master bedroom on main floor with full ensuite and double closets. Spacious living room with gas fireplace adjoins the dining room. Sunny, big kitchen with lots of cabinets and counter space. Huge basement rec room with wet bar. Patios, decks and porches all around with outdoor bbq kitchen. Greenhouse. Near to elementary and middle school, shops, transit. 3 bedrooms up, one down. Large deck overlooking sunny back yard. Lots of storage, open parking. Great neighbourhood near to all amenities. Well laid out 2180 sf floor plan, 3 bedrooms up and 1 down. Master with 3 piece ensuite and walk in closets. Large closets in other bedrooms. Sunny kitchen with lots of cabinets and counterspace. Laundry in home. Full appliance package. Fully fenced yard. Lots of storage, single carport, additional parking. 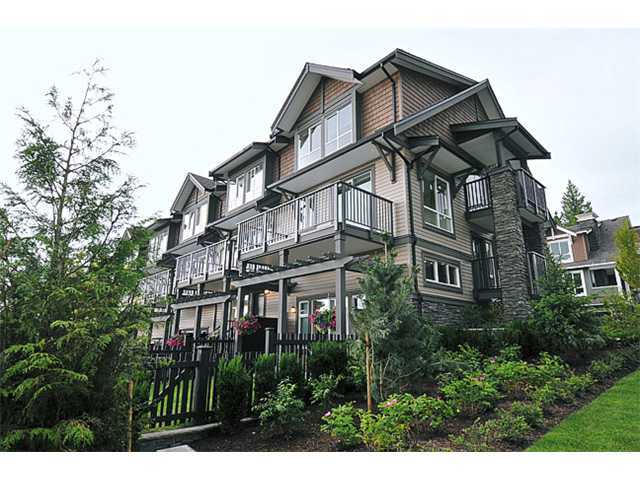 Walk to schools, aquatic centre, Lafarge Lake, hiking trails, Coquitlam Centre. the North Shore Mountains, Burrard Inlet. Updated kitchen, lots of new cabinets and counterspace, new flooring, door to deck. Living room with gas fireplace, large dining room. Three bedrooms, master with two piece ensuite. 3 piece bath, lots of storage. Air conditioning. Double carport, lots of parking in the driveway. Huge half acre lot, house set peacefully back from the street. Walking distance to an elementary and secondary school, Como Lake Shopping Mall, transit. 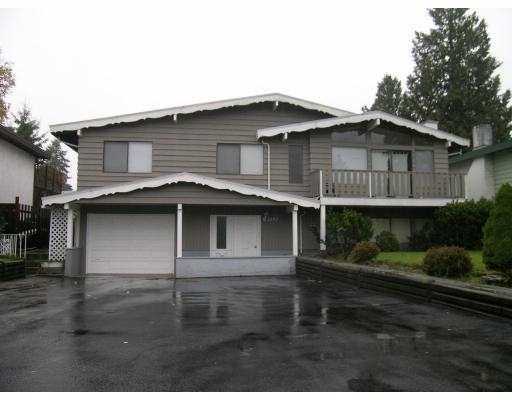 Updated 2285 sf, 4 bedroom home (2 on main, 2 down) on 1300sf view lot in family friendly Ranch Park. Spacious living room with floor to ceiling windows overlooks the tiered and landscaped back yard that ends in a greenbelt. Rock fireplace divides the living and dining room that opens to a large deck with mountain view. Sunny kitchen with lots of cabinets and counterspace and eating area. an easy commute to anywhere in the city. 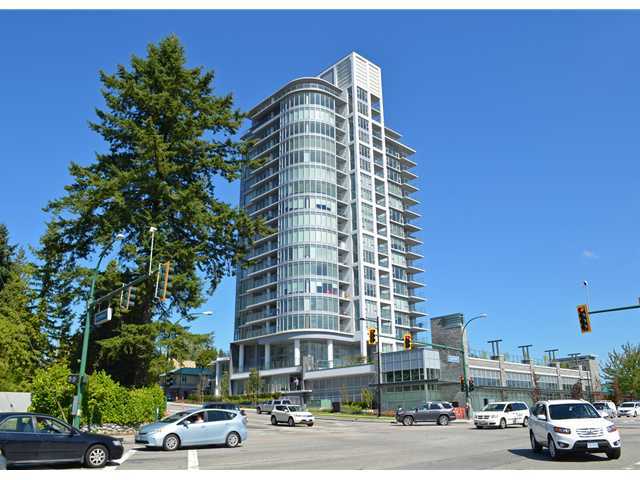 Stunning 2 bedroom, 2 bath corner suite on the 11th floor of "The Parc", in Coquitlam Town Centre. Well planned 885 sf, plan maximizes space. Designed in classic, contemporary style with an open floor plan brightened by floor to ceiling windows. Hand scraped wood floors, custom millwork. Large kitchen with stainless steel Bosch appliance package, lots of stunning cabinets and granite countertops. Electric fireplace in living room with door to deck. Only six suites per floor. Insuite laundry. One underground parking, one storage locker. Building amenities include professionally equipped fitness centre and media room. Steps to Coquitlam Town Centre, Aquatic Centre, public library, bus loop, Westcoast Express, Lafarge Lake, Douglas College ... central to all amenities. 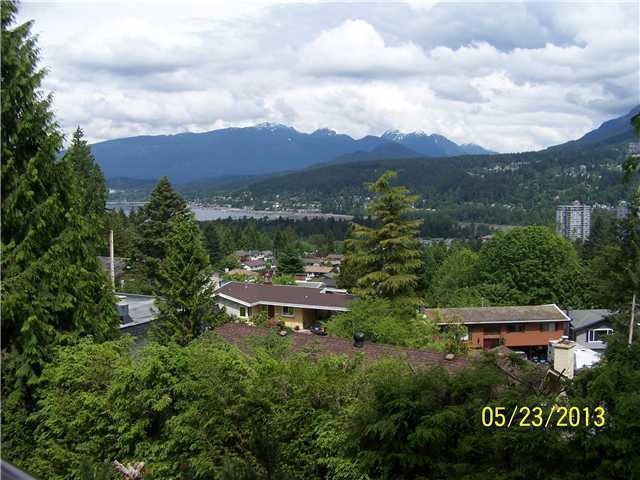 Rarely available top floor 3 bedroom, 2 full bath suite with rooftop deck overlooking scenic Westwood Plateau Golf and Country Club and the mountains. Beautifully remodelled in the last few years. Spacious entrance with curved staircase leads to approximately 1200 sf main level enhanced by 14' ceilings. Living area with floor to ceiling cultured stone fireplace, open to the good sized kitchen with lots of cabinets, counter space pantry and access to the entertainment size roof top deck complete with built in speakers. Master suite with lots of closet space and large ensuite including a separate shower. Second balcony accessed for one of the other bedrooms. Insuite laundry. One reserved parking, street parking, visitor parking for guests. Storage locker. Spacious, approx. 2200 sf home. 3 bedrooms up, 2 bedroom suite down. Renovated. New laminate flooring, fresh paint. Large fenced lot. Single garage. Lots of additional parking. Walk to Coquitlam Centre, bus loop, Westcoast Express. Spacious 1000 sf, 2 bedrooms and den and 2 baths. Open concept with 9' ceilings, lots of windows. Great kitchen granite counters, lots of cabinets and counter space, stainless steel appliance package. Insuite laundry, lots of storage insuite and storage locker. Two underground parking stalls. Visitor parking for guests. Street parking. Includes membership in Canoe Club, outdoor pool, hot tub, tennis courts, professionally equipped gym, games room, guest suites and more. Steps to Suter and Newport Villages, Rocky Point, inlet trails, library, great restaurants and trendy shops. 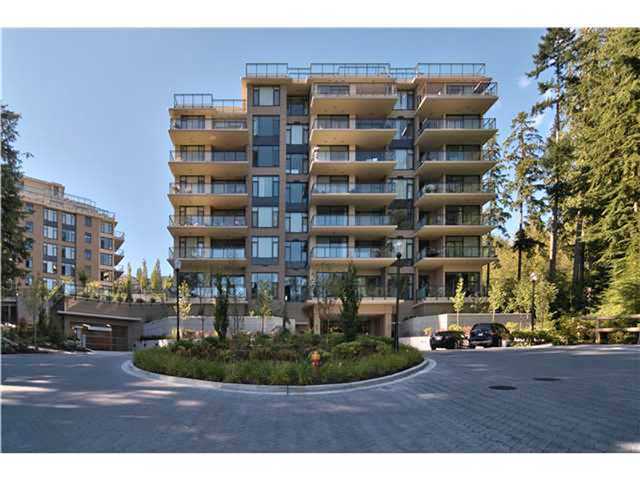 Located only steps to Coquitlam Centre in the luxurious and elegant "Edgemont", built by Bosa. Corner 8th floor suite offers panoramic City views, beautiful. Large covered balcony. Well designed kitchen enhanced with granite counters, lots of wood grained cabinets, gas cook-top and stainless steel appliances. Insuite laundry. Two good sized bedrooms. Two full baths. Great storage. One underground parking spot. Guest parking for visitors. Building amenities include lounge, theatre, professionally equipped gym, guest suite. Steps to Coquitlam Centre, bus loop, WestCoast Express, Douglas College, Lafarge Lake and walking trails. 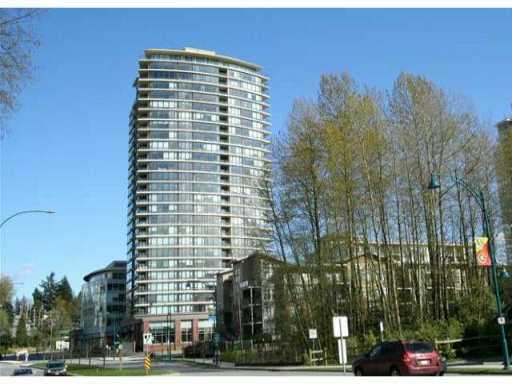 5th floor of Port Coquitlam's first concrete highrise overlooking beautiful Lions Park, quiet side of the building. Only one year old. Excellent functional, open floor plan brightened by floor to ceiling windows. Kitchen with stainless steel appliance package. Bath can be accessed both from the unit and the bathroom. 225sf covered deck overlooking Lions Park. Laundry insuite. One underground parking, guest parking for visitors. 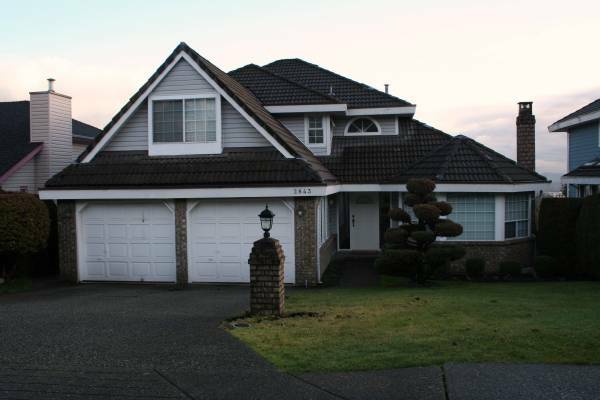 Excellent location, walk to Safeway, restaurants, train, adjacent to Lions Park, PoCo Trail, more. Spacious 3 bedroom, 2 1/2 bath corner suite. Three levels, partly remodelled, view of river and mountains! Full appliance package, laundry in suite. Popular Mary Hill location near to parks and well regarded elementary and middle school. An easy commute via the Mary-Hill by-pass. Exclusive "Tyneridge" 3 bedroom, 2 1/2 bath corner townhome with panoramic views. Former showsuite, approx. 1300 sf open floor plan with airy 9' ceilings on the main, charming bay windows, loads of natural light. Kitchen with granite countertops, lots of cabinets and stainless steel appliance package. Master bedroom with ensuite including soaker tub, glass enclosed shower, dual sinks. Double garage, visitor parking for guests. Spacious 1000 sf, two bedroom 2 bath corner suite nestled on the top floor with private southern exposure overlooking Gates Park. Open floor plan with 9' ceilings and brightened by floor to ceiling windows. Well designed kitchen with lots of cabinets, granite countertops and stainless steel appliance package. Living room with gas fireplace and access to a deck. Insuite laundry. One underground parking, street parking. Excellent building amenities include fully equipped media room, fitness studio, billiard room. 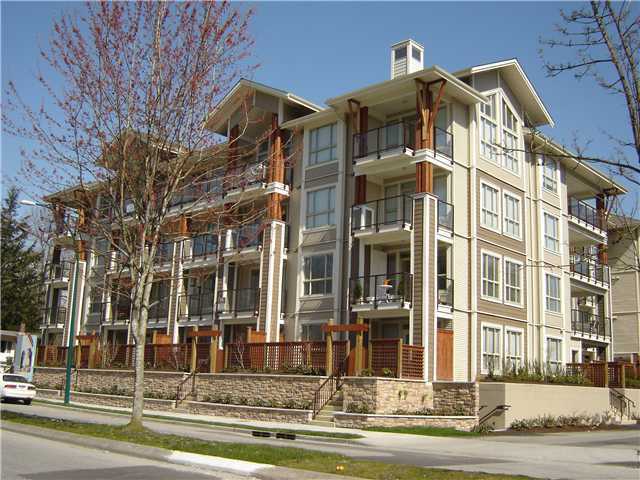 Steps to downtown Port Coquitlam, great restaurants, shops, community events. Enjoy tennis courts, PoCo trail, library and more. 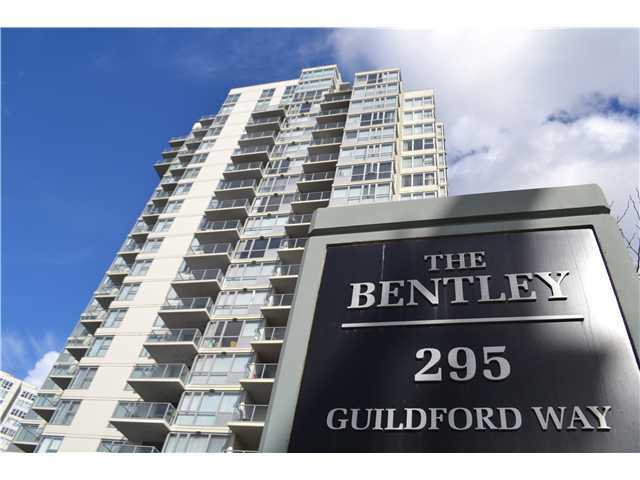 Top floor, 2 bedroom 2 full bath suite in sought after Windsor Gate. Open layout with gourmet kitchen showcasing granite countertops, custom crafted pantry and stainless steel appliance package. Full size washer and dryer. 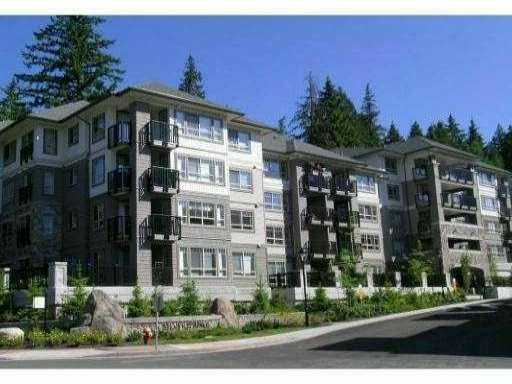 Walking distance to everything including Douglas College, Coquitlam Centre, walking trails, bus loop, Westcoast Express. Includes hot water and gas. Spacious 2 bedroom, 2 bath floor open concept home on the third floor in popular "Iglenook" building. stainless steel appliances, gas stove. Flexible living/dining room combination with gas fireplace and access to a large covered deck. Insuite laundry. Lots of storage. One underground reserved parking space, visitor parking for guests, street parking. Membership to the Canoe Club includes tennis and indoor sports court, media room, professionally equipped gym, outdoor pool, guest suites and more. Well maintained 2050 sf, 4 bedroom, 2 baths. Updated kitchen with eating area and formal dining room. Hardwood floors through most of the main level. Huge rec room down. Bright and sunny. Large covered deck overlooks the fully fenced backyard that offers lots of room to play. Near to schools, parks and public transit. 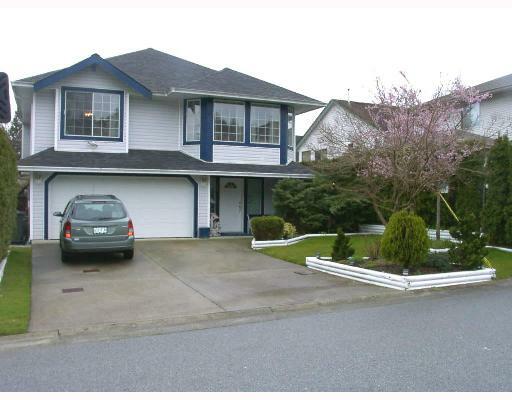 Remodelled 3 bedroom 3 bath family home features fresh paint, new flooring and carpets. Sunny kitchen with lots of cabinets and counterspace and new appliance package. Master bedroom with ensuite. Two additional good sized bedrooms. Convenient location near to elementary and middle schools, shops, transit, walking trails and popular rec centre. 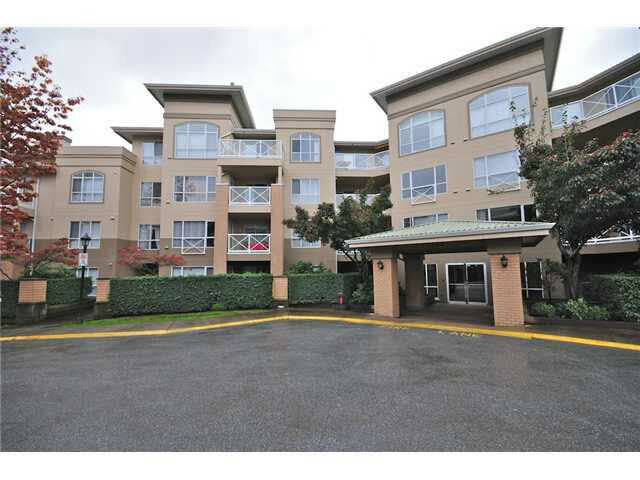 and park and conveniently located across the street from Coquitlam Centre. Well designed floor plan maximizes space. Gleaming hardwood floors, floor to ceiling windows. Great kitchen with lots of counter space and cabinets. Full appliance package. Insuite laundry. One underground parking spot. Beautiful reno'd 5 bedroom home on huge 11,000sf lot. 3 bedrooms on main floor and separate living, dining and family rooms down. Full laundry on lower level. Gleaming hardwood floors, large window and gas fireplace in the living room. Kitchen with lots of cabinets and counter space. Near to schools, shopping and much more. Hardwood flooring throughout, vaulted ceilings, granite counters in kitchen and baths, finished in designer colours throughout. Large sunny kitchen and additional wok kitchen. Steps to Westwood Plateau Golf and Country Club. 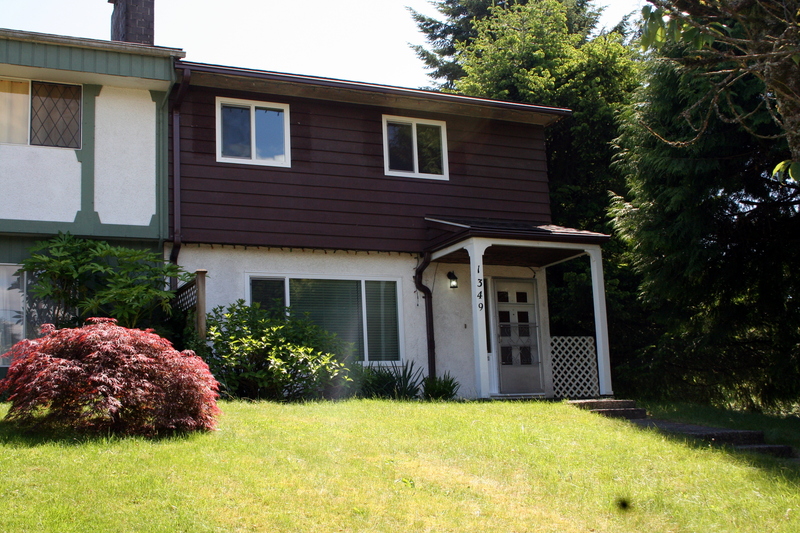 Minutes to schools, Coquitlam Centre, public library and all other amenities. Welcome home to this 5000sf, 5 bedroom and 5 1/2 bath home. 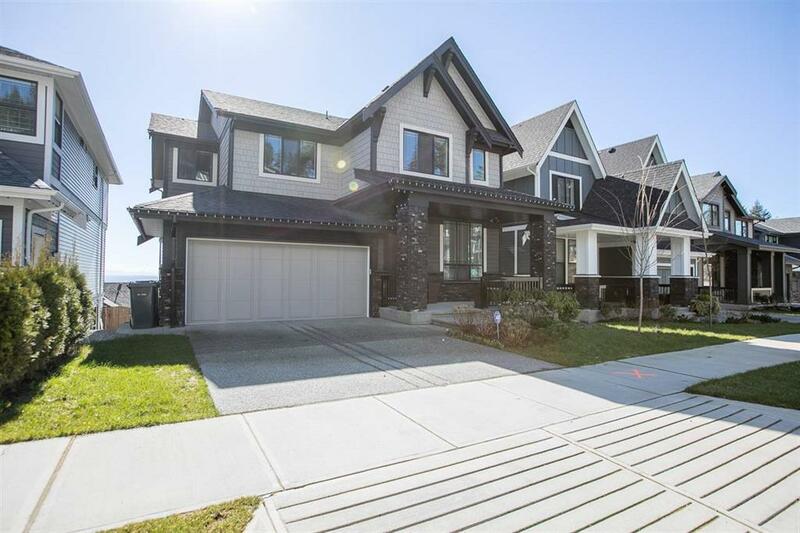 Features of this stunning seven year old home include an open floor plan with wide plank hardwood flooring, airy vaulted ceilings, lots of natural and pot lighting and finished in neutral designer colours and custom window coverings. Kitchen has generous counterspace, double island and full stainless steel appliance package including double dishwashers. Access to the patio with outdoor kitchen, lounge area with fireplace and hot tub. Master suite on mail level with fireplace, private balcony, ensuite with air jetted tub, double vanities, steam shower. Four additional bedrooms each with ensuite. Lots of play space in the basement. Media room above the triple garage. Well designed and bright, 1640 sf, 3 bedroom townhome overlooking the golf course and protected wetlands. Remodelled kitchen with new countertops, tumbled marble backsplash and lots of cabinets. Overlooks the adjoining family room and opens to a private outdoor area. Master bedroom with the same peaceful outlook, ensuite and his and hers closets. A second bedroom, full bath and laundry complete the second level. Flexible top floor area with balcony for bedroom, office, playroom. Double tandem garage with storage. Modern high end condo in beautiful Suter Brook village, Aria II, only 5 years old. One bedroom, one bath. Gleaming floors, custom stone feature wall in bedroom. including gas stove and lots of cabinets and counterspace. professionally equipped full size gym, squash court, and much more. Steps to Westcoast Express, great shops including Thrifty Foods, restaurants, Inlet Trails, public library. Light and bright 2 bedroom suite in a sought after family neighbourhood in Burke Mountain. Great floor plan, light and bright! Public transit to Douglas College, Coquitlam Centre, Westcoast Express. half duplex in family neighbourhood. Hand-scraped alder hardwood floors throughout. counter space and oversize sliding glass doors to the entertainment sized patio. Three good sized bedrooms up, master with walk-in closet and ensuite. Finished in neutral designer colours. In the catchment of well regarded schools. Nestled on the third floor, southeast facing corner suite, well designed open plan. Good sized one bedroom. One bathroom with soaker tub. One parking stall, visitor parking for guests. 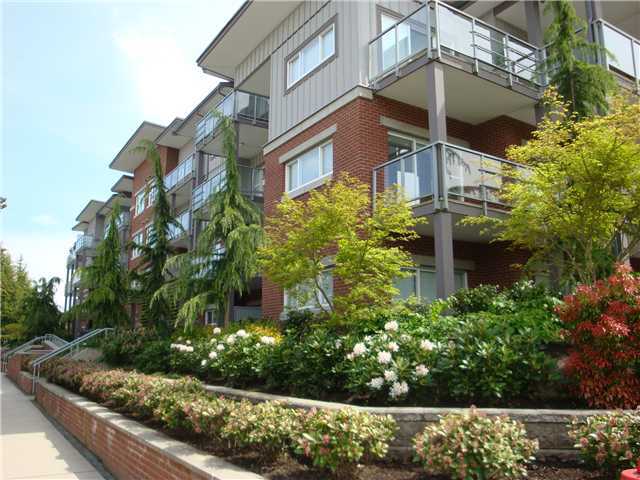 Walk to Westcoast Express, Coquitlam Centre, Douglas College, great shops, restaurants, parks and more. Attached 3 level, corner unit. 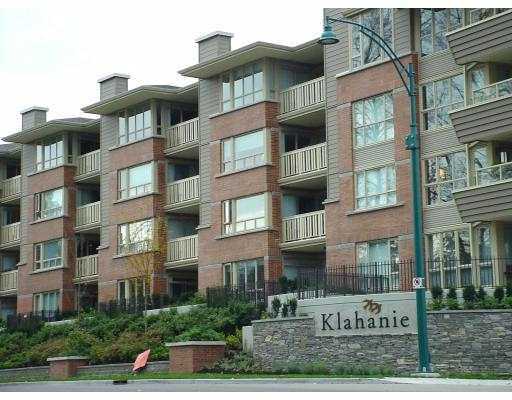 Well designed, spacious top floor two bedroom two bath suite in in sought after area near to Coquitlam Centre. High ceilings. Flexible living/dining room combination brightened by oversize windows and with a gas fireplace. Kitchen with stainless steel appliance package, lots of beautiful cabinets and granite counters. Insuite laundry with full size washer and dryer. One underground parking stall, one storage locker. Rent includes gas, hot water and access to 15,000 sf resort inspired clubhouse. 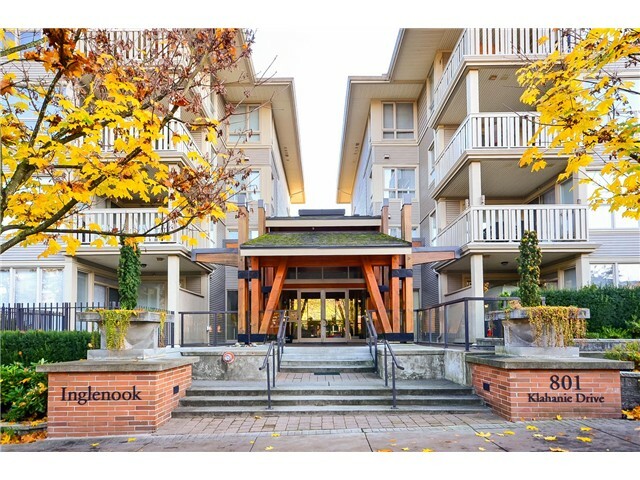 Walk to Coquitlam Centre, Douglas College, LaFarge Lake, Aquatic Centre, more. Stunning one bedroom ground floor suite in a popular 6 year old building. Great kitchen with stainless steel appliance package enhanced by lots of dark cabinets and granite counter tops. Large private patio. Quiet side of building. Newly renovated, spacious 2 bedroom suite in sought after building. Well designed floor plan, light and bright. Great kitchen with lots of counter space and cabinets. Flexible living and dining room combination with bay window and gas fireplace. Covered deck. Insuite laundry. One underground parking, storage. Walk to great shops, restaurants, library, rec centre, Inlet trails. Rarely available approximately 1200 sf, 3 bedroom end unit in sought after Silver Springs. Master suite with 5 piece ensuite and walk-in closet. Large kitchen with eating area overlooks the scenic greenbelt. 2 parking spots, one storage locker, guest parking. Building amenities include outdoor pool, hot tub, fitness centre and more. Spacious corner suite on the 8th floor of a quality and luxury building. Approx 950 sf. Well designed, maximizes space. Great kitchen with lots of cabinets, granite counters, gas stove. Beautiful views showcased by oversize windows. Warm gas fireplace in the living room. 2 good sized bedrooms, 2 baths. Includes gas and hot water. Walk to Coquitlam Centre, Westcoast Express. One bedroom + den, approx 700 sf overlooking scenic Gates Park. Well designed, 9' ceilings. Kitchen with lots of cabinets, granite counters, stainless steel appliances. Flexible living and dining room combination with gas fireplace and access to covered deck. Walk to shops, restaurants, library, Inlet trails. 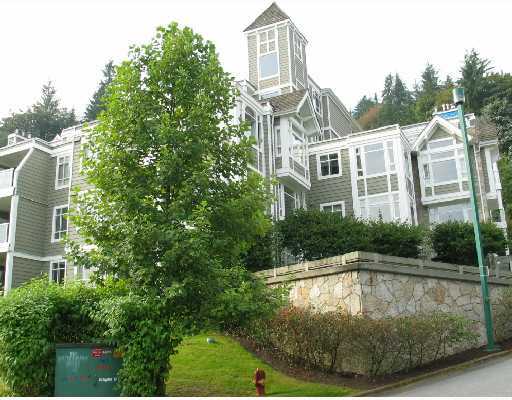 Cedar Creek on Burke Mountain, upscale 4 bedroom townhouse. Bosch appliance package. Gourmet kitchen with maple shaker cabinets, granite counters and undermount sink. Well designed floor plan includes spacious master suite that accomadates a king size bedroom suite. Beautiful ensuite with double sinks, rainhead shower system. 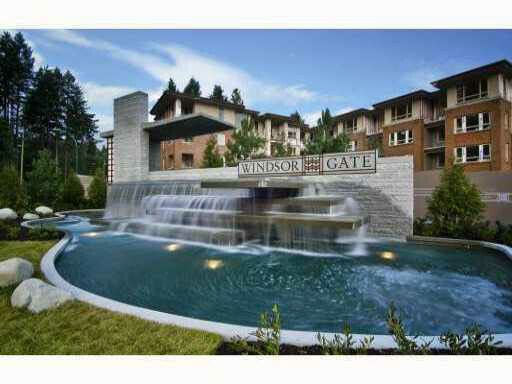 Minutes to Coquitlam Centre, Douglas College, Westcoast Express. 1100sf, 2 bedroom plus den suite. Two baths. 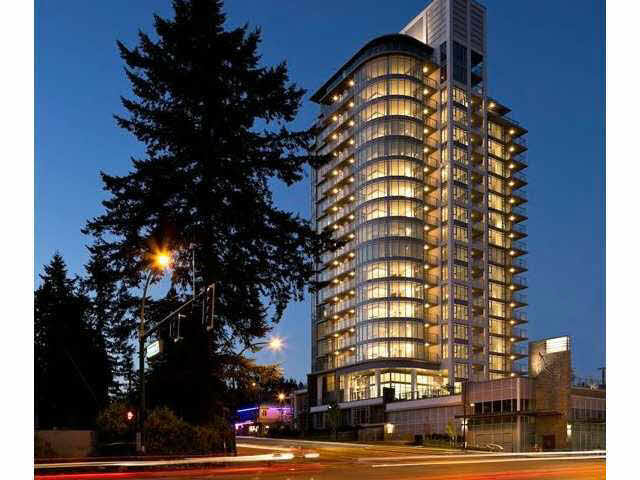 18th floor with stunning Inlet and mountain views from floor to ceiling windows. Gourmet kitchen with granite counters, lots of cabinets and stainless steel appliance package. Insuite laundry. Partially covered deck to enjoy the view. One underground parking, visitor parking, street parking. Spacious 2 bedroom, 2 bath suite. Well designed open floor plan maximizes space. 9' ceilings, lots of windows, light and bright. Great kitchen with lots of cabinets, countertops and quality appliance package. Flexible living and dining room combination. Includes membership to the "Canoe Club". Walk to great restaurants, shops, public library, rec centre and Inlet Trails. One underground parking. Guest parking and open parking. Stunning new 2 bedroom, 2 bath suite. Open floor plan with lots of windows finished with venetian blinds. Kitchen with granite countertops, custom cabinetry, stainless steel appliances. Gleaming wood floors, fireplace in living room. Doors to large deck. TWO underground parking, lots of additional parking. Magnificent dream home with stunning view in prestigious Westwood Plateau. Well designed open floor plan accented by gleaming hardwood floors, vaulted ceilings and brightened by many windows. Beautiful kitchen with granite countertops, centre island, etaing area and top of the line appliance package. Master suite on main floor complete with southest views and spa-like ensuite. Landscaped, level, 10,700sf lot. Triple car garage. 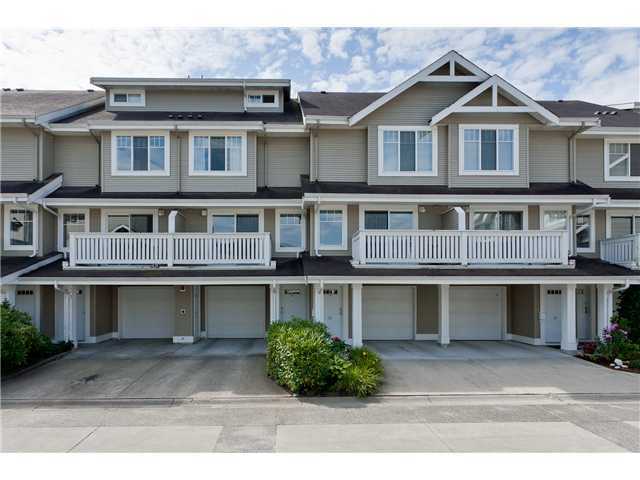 Stunning 4 year old, 3 level townhome in a prize location in "Currents"at Klahanie. Spacious open floor plan. 3 bedrooms, 2 1/2 baths. Great kitchen with granite counters, lots of cabinets, stainless steel appliance package. Eating area with sliders to the yard. Bright spacious living room with electric fireplace. Private yard. 2 car garage. 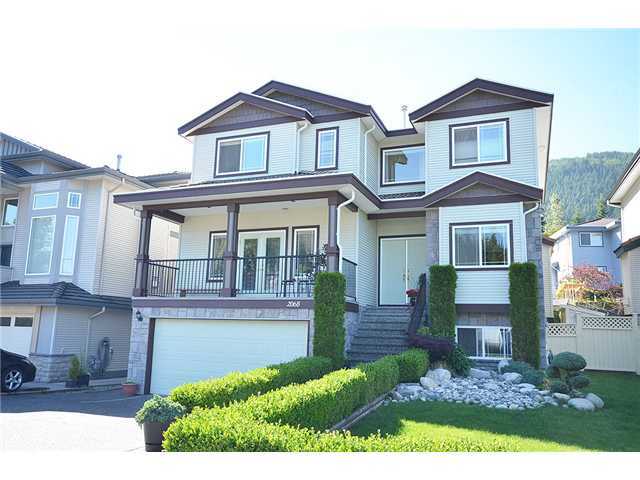 Spacious 3450sf, 3 level, 3 bedroom and den home in established River Heights. 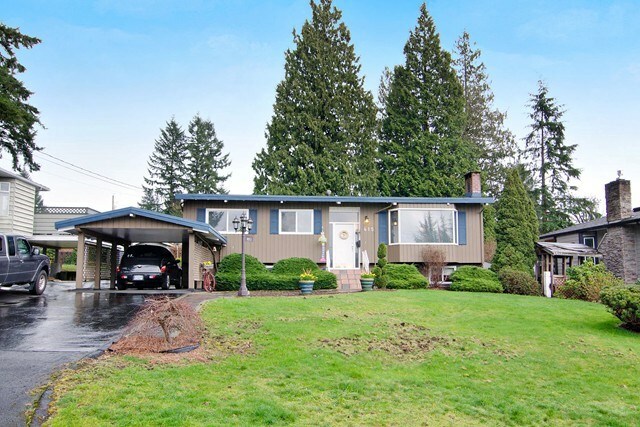 Panoramic views over Coquitlam, Port Coquitlam, Golden Ears and Mount Baker. Sunny oak kitchen with eating area. Master suite with walk-in closet and full ensuite. West exposed, fully fenced backyard. Double garage, lots of storage. 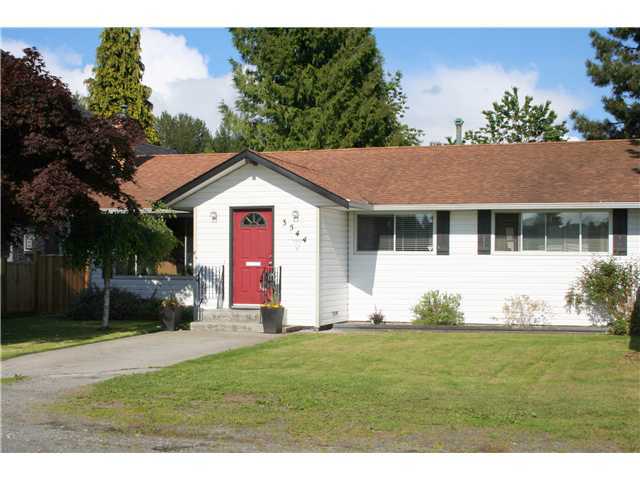 Centrally located but in a quiet, family oriented neighbourhood near to schools. Located in family oriented Eagleridge area. Well designed open floor plan. 1300 sf, three bedrooms, two baths. Large outdoor deck. Unit backs scenic greenbelt, lots of privacy. Spacious 2 bedroom suite, master with walk-through closet and ensuite. Second bedroom with full walk-in closet. Kitchen opens to breakfast bar and overlooks flexible dining/living room. One underground parking, lots of street parking. Building amenties include sauna, courtyard for barbeques, play area, roof-top garden. Steps to Coquitlam Centre, Acquatic Centre, library. Near to Douglas College, Westcoast Express. Spacious, clean, affordable 3 bedroom, 1 1/2 bath one level townhouse. Living room with sliders to deck. Master bedroom with 2 piece ensuite. Open parking, one reserved spot. Walk to Westcoast Express, Rocky Point Park, Inlet Trails. Classic, contemporary style. Panoramic views from this luxurious corner suite with sunny deck. Well designed floor plan with open kitchen complimented by granite counters. Bosch stainless steel appliance package. Gas fireplace. Engineered hardwood floors. Open underground parking spot, storage locker. 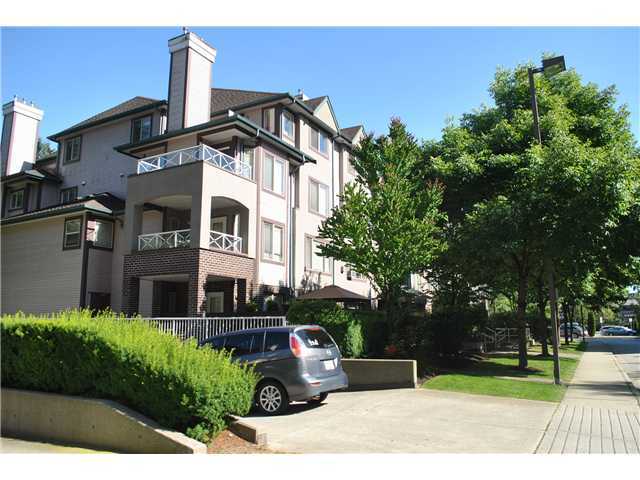 Beautifully located, walk to Coquitlam Centre Mall, bus loop, Westcoast Express. 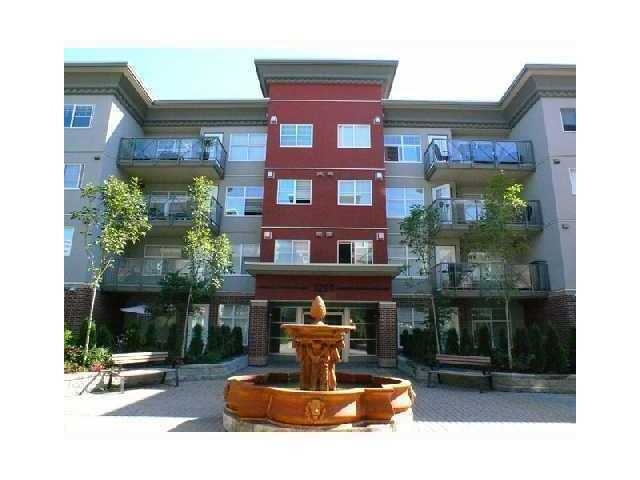 Spacious bright one bedroom suite with beautiful white kitchen. Flexible dining/living room combination with gas fireplace and sliding doors to a patio. Overlooks private, secluded park-like area. Big one bedroom overlooks the quiet garden area. Cheater ensuite. Near to Westcoast Express, Suterbrook and Newport Village shopping, library, rec centre. Popular and family oriented New Horizons family home. Great kitchen with lots of cabinets and counterspace. Good sized bedrooms with large closets, master with walk-in and ensuite. Single garage. Sunny deck overlooking fenced yard. 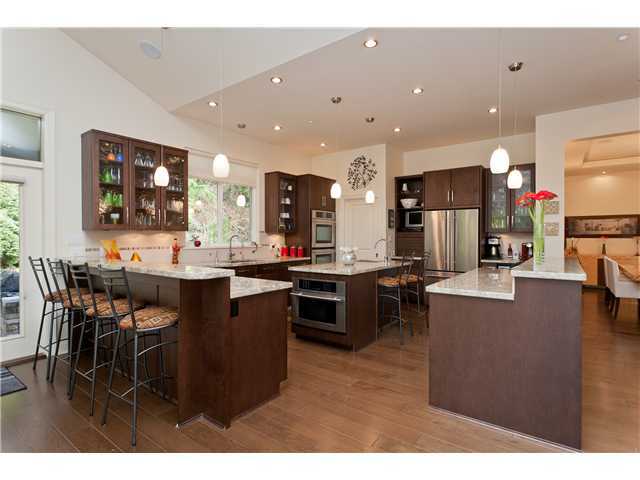 Large open concept kitchen with lots of cabinets and counterspace. Two bedrooms, master with with five piece ensuite and walk-in closet. Living room with gas fireplace and door to a deck overlooking the great neighbourhood and mountain view. Excellent resort-style building amenities include outdoor pool, media room, tennis courts, professionally equipped gym and guest suites. 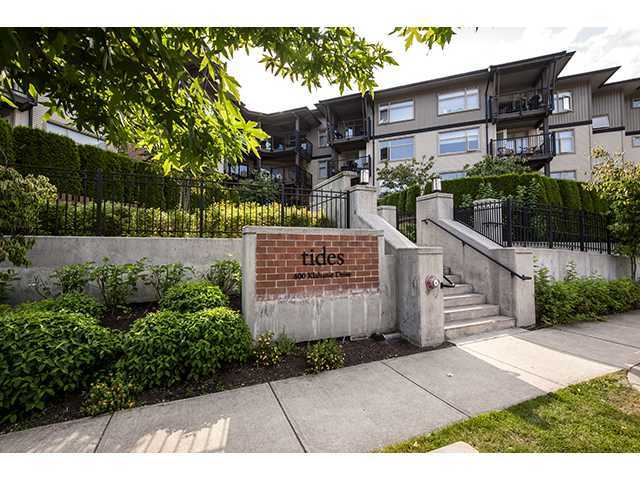 Excellent shopping and dining, walk the Inlet trails, library, Port Moody Rec Centre, near to Westcoast Express. Located in a cul-de-sac in family oriented River Heights with fully fenced backyard. Rancher-style home with full basement. Panoramic views to Mount Baker. 2 bedrooms up, one down. Great kitchen with lots of cabinets and counterspace overlooks the family room. 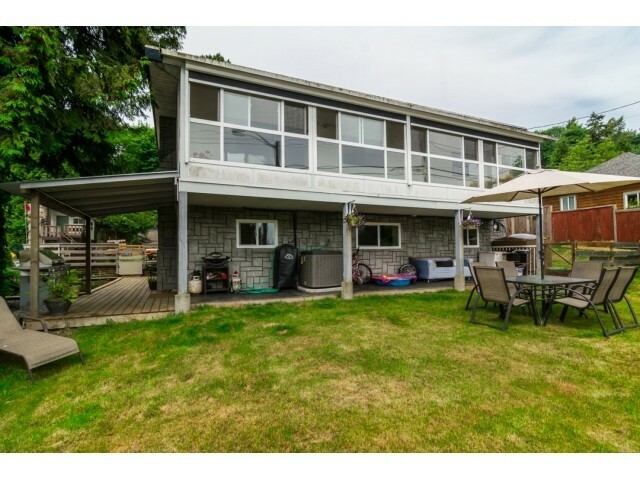 Huge, covered deck for year around enjoyment. Near to schools, public transit, shopping. Completely renovated family home on corner lot across from a park in sought after Lincoln Park neighbhourhood. High end kitchen with heated floors, granite countertops and Bosch appliance package. Slate entry, gas fireplace in the living room. Main floor den. Three good sized bedrooms up, master with walk-in closet. 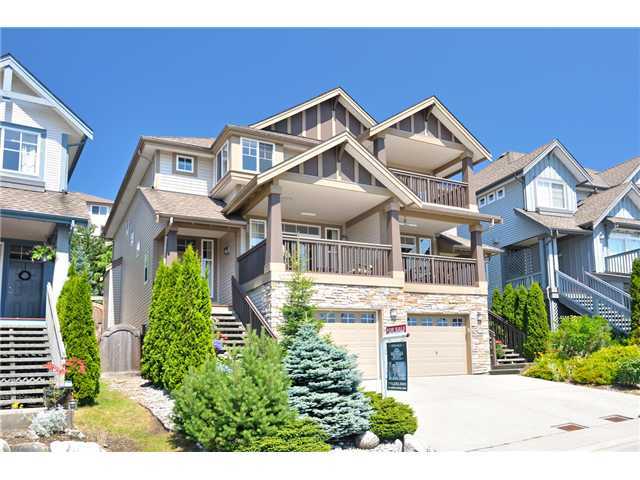 Walk to schools, near to shops and transit. Renovated rancher includes a new "great room" style kitchen, dining area and family room. Spacious laundry room. Full appliance package. Family room accented by soaring vaulted ceiling opens onto large deck and fully fenced backyard. Detached drive through garage with power. Lane access. Living room with second gas fireplace. Family area, walk to public and private schools. 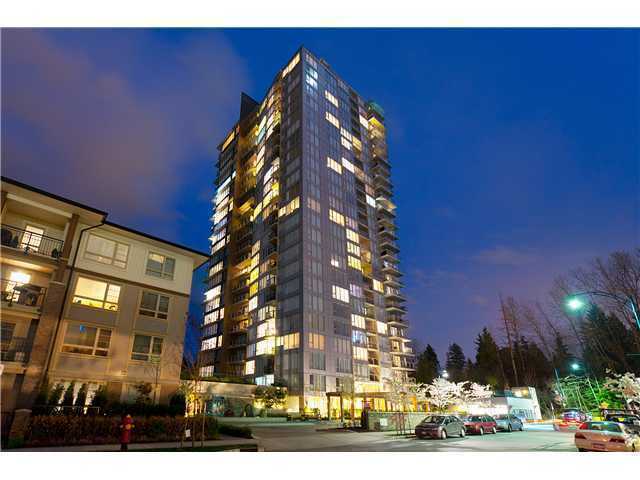 Stunning, brand new executive view penthouse; 2 bedrooms and den in Westwood Plateau's premier neighbhourhood. Inspired architecure with spacious design enhanced by oversize picture windows, hardwood floors, 9' ceilings, air-conditioning. Inspired kitchen with full high quality appliance package, solid maple cabinets, granite countertops. Spacious living and dining rooms. Master with full ensuite. Huge deck. Two underground parking spots. "Cascade" located adjacent to Westwood Plateau Village, near to all levels of schools, Douglas College, Coquitlam Centre and Westcoast Express. Open concept kitchen with updated cabinets, granite countertops and stainless steel appliance package. New solid hardwood flooring throughout the main level and stairs. New gas fireplace warms the flexible living and dining area. 2.5 baths renovated with modern faucets and basins. Stunning master bedroom encompasses the entire 3rd level and overlooks the Fraser River and Colony Farms. Southern exposed with panoramic views from the main. Great patio for summertime. Double garage, lots of storage. Private family oriented area near to all levels of great schools. 3 bedroom, 2 bath basement home nestled on a large fenced lot. Well laid out kitchen with lots of cabinets and counter space. 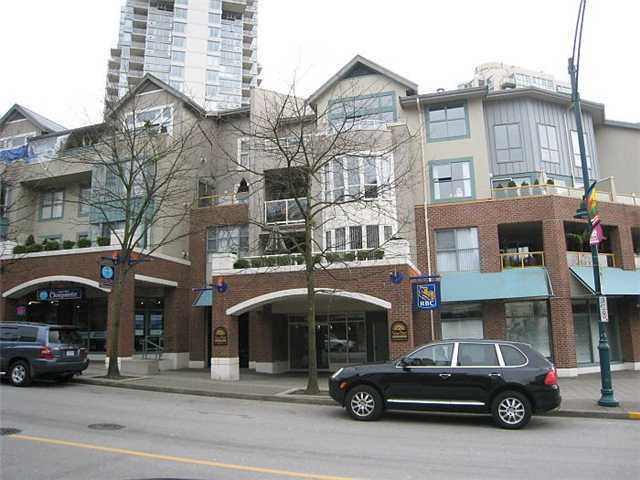 Centrally located near to schools, shops and transit. Full appliance package included. Single garage. 3 year old luxury high rise building. Light and bright 2 bedroom, 2 bath corner suite. Open floor plan, kitchen with granite counters and Bosch stainless steel appliance package. South facing deck, beautiful views. One underground parking, storage locker. Walk to Westcoast Express, Coquitlam Centre, Lafarge Lake. One bedroom and den, 685 sf, approx. Near Coquitlam Centre, Westcoast Express. An executive lifestyle at "Cedar Creek", 3 level townhome. 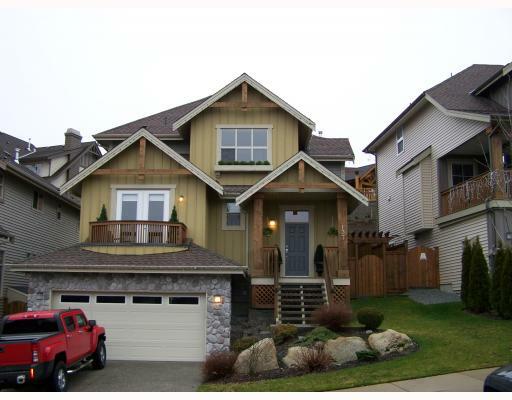 New, beautiful 4 bedroom, 3.5 bath townhome on Burke Mountain. Spacious open floor plan. Kitchen with Bosch appliance package, maple shaker wood cabinets, granite counters throughout. Master suite can accomodate a king size bed. Ensuite with soaker tub, rain head shower, double sinks. Lots of storage, fully fenced yard, double garage. Schools, parks and recreation nearby. Easy commute over David Avenue to shops, restaurants, Westcoast Express. Sought after "Inglenook" in Newport Village. Well designed 2 bedroom, 2 bath suite on the third floor. Great kitchen with full appliance package, good size bedrooms. Right across from Rocky Point, walk the Inlet Trails, shop and dine at Newport and Suter Brook villages, near to the rec centre and library. One parking stall, visitor parking, open parking.